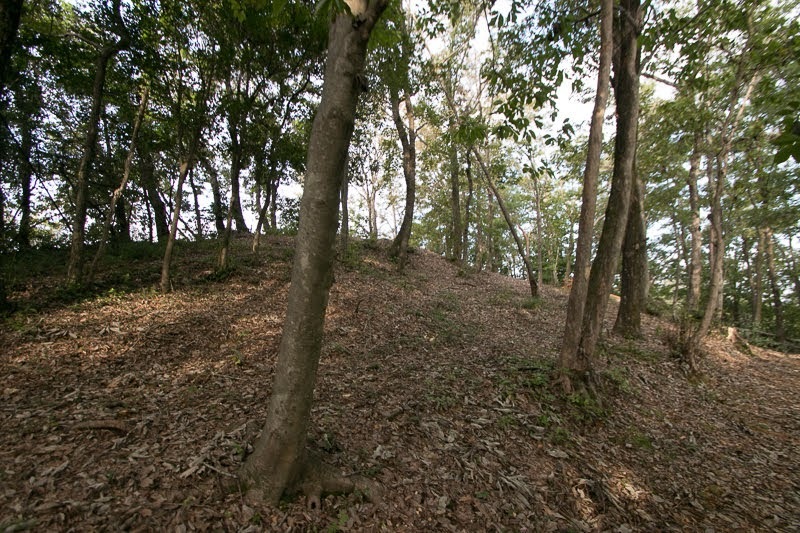 Akechi Nagayama Castle (明智長山城) is built over Nagayama hill, one of about 50 meter from hillside at the east of center of Kani city. 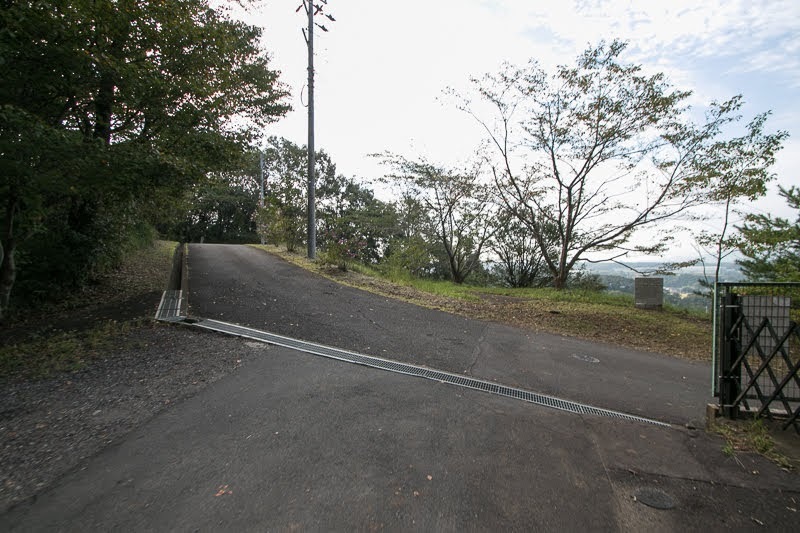 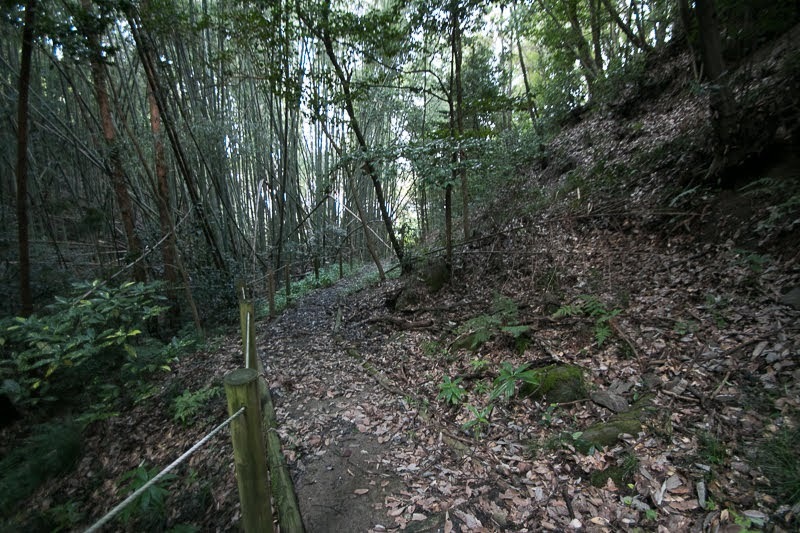 Kani area is a flat land formed by Kiso-gawa river and its tributary Kani-gawa river, and castle site is a long and narrow hill between Kani-gawa river and its tributary Kukuri-gawa river. 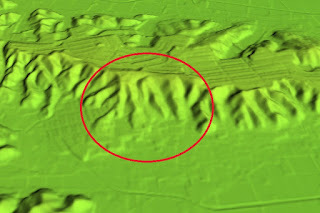 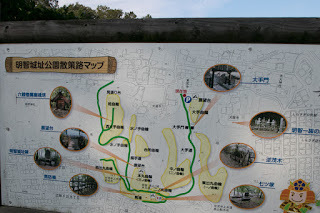 Mino province is roughly divided into west part flat area including Ogaki city and Gifu city, middle part hilly area holds Seki city, Mino-Kamo city and Kani city, and east mountainous area such as Nakatsugawa city or Iwamura town. Akechi area locates at southeastern edge of middle part of province, and an important point to control road toward east along with Kiso-gawa river and toward southeast to Tajimi or Toki area. 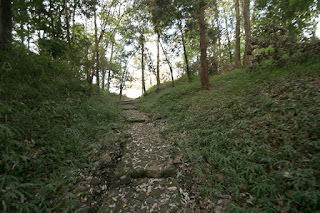 Akechi Nagayama castle is said as birthplace of Mitsuhide Akechi (1528-1582), who attempted the incident of Honnoji, which was most impressive treason in Japanese history against his master and central ruler Nobunaga Oda (1534-1582), only compared with “Taika-no-Kaishin”, an execution of Soga clan which made tyranny at ancient Yamato Dynasty in 7th century and “Kakitsu-no-Hen”, an assassination of Yoshinori Ashikaga (1394-1441), the sixth Shogun of Muromachi Shogunate in 1441. 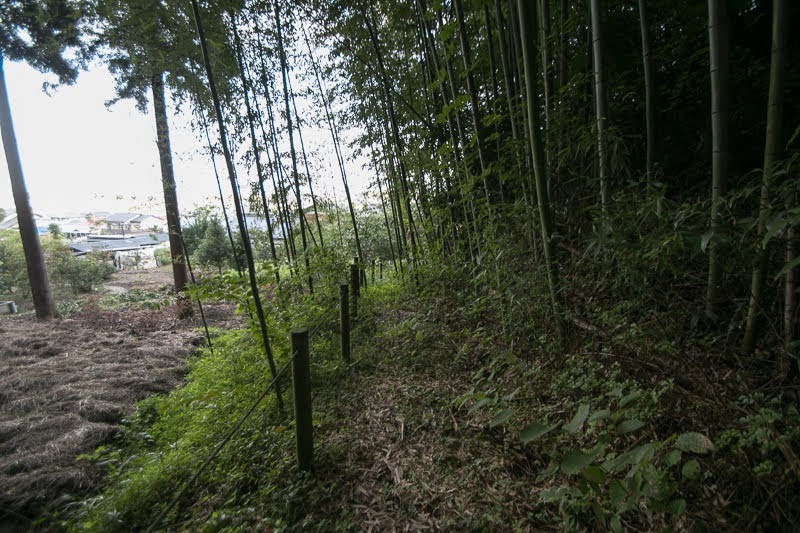 But “Taika-no-Kaishin” was a backrush of Imperial Household to the retainer, and “Kakitsu-no-Hen” was just an assassination and there was no actual change of system. 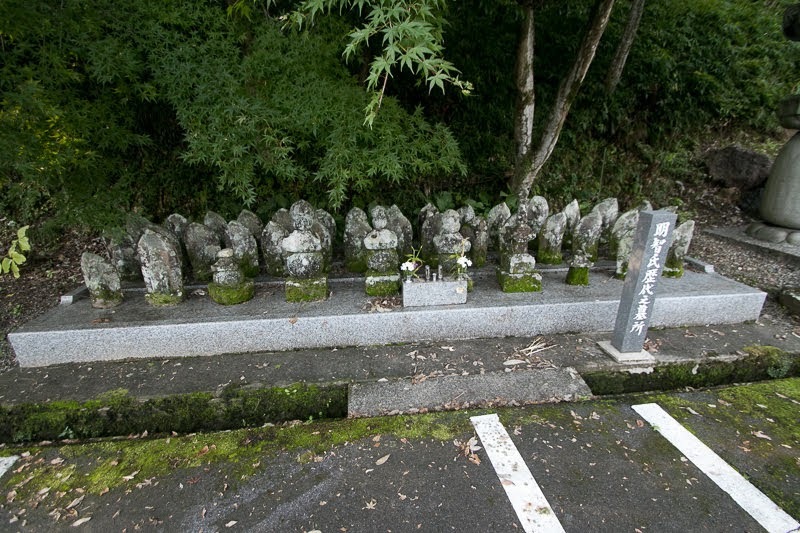 On the other hand, Mitsuhide ruined his master at the peak by military power without legitimacy and once established his own government. 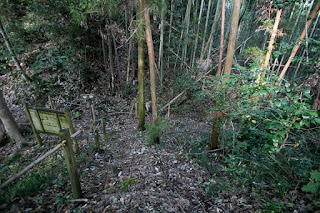 Including rapid collapse of his government, the impact of the incident of Honnoji is far greater than “Kakitsu-no-Hen”. 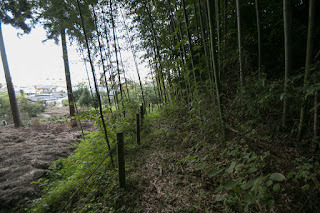 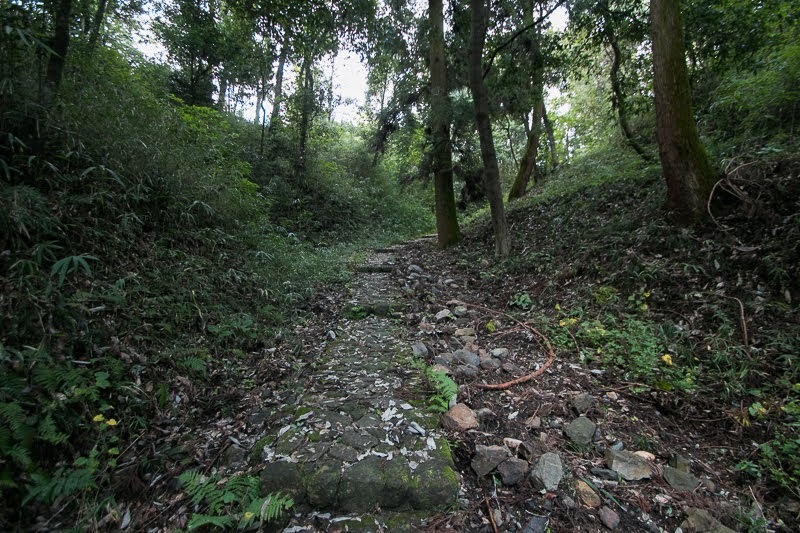 Precise year is unknown but Akechi Nagayama castle might be built by local lord Akechi clan. 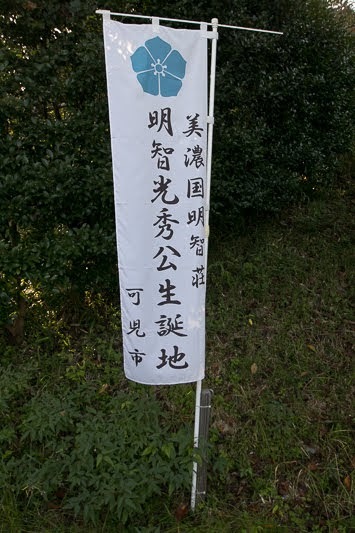 Akechi clan is a branch family of Toki clan, which was a major retainer of Kamakura Shogunate and Muromachi Shogunate prospered at Mino province and famous for their flag of light blue colored bellflowers. Toki clan is a descendant of Minamoto clan which moved to Toki area in 11th century. 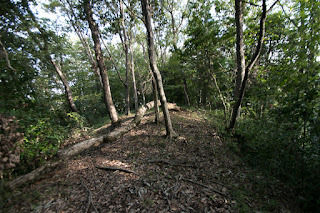 Toki clan gradually grew to major local lord in 12th century being involved into battles with nobles or other samurais. At the rise of Yoritomo Minamoto (1147-1199), the founder of Kamakura Shogunate and held same ancestor, Toki clan supported Yoritomo and became an important retainer of Kamakura Shogunate. 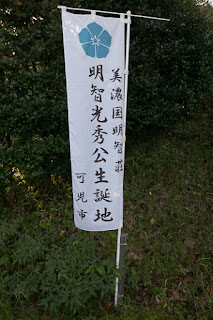 Toki clan kept Mino province as their territory and placed their branch families all over the province. 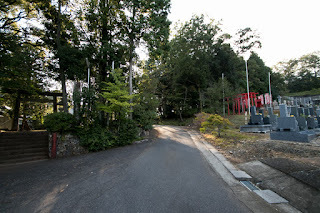 Akechi clan was one of such branch families and at first resided Akechi area of current Akechi town of Ena city at the southeastern border of Mino province. 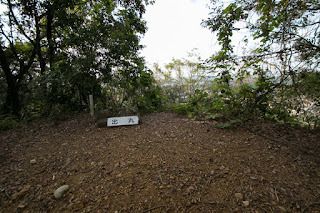 At the fall of Kamakura Shogunate, Yoritoo Toki (?-1342), the leader of Toki clan, belonged to Takauji Ashikaga (1305-1358), the founder of Muromachi Shogunate. 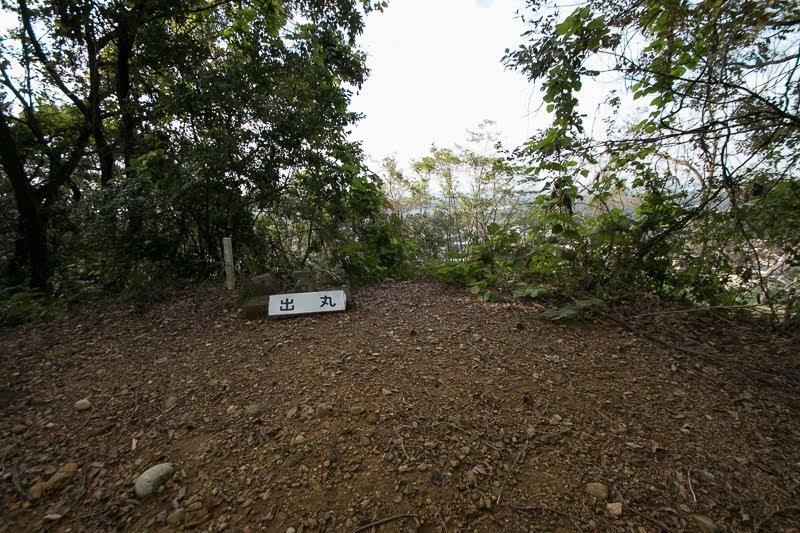 Yoritoo followed Takauji and experienced many tough battles against South Court army such as Yoshisada Nitta (1301-1338) or Akiie Kitabatake (1318-1338) and contributed to the victory of Takauji. 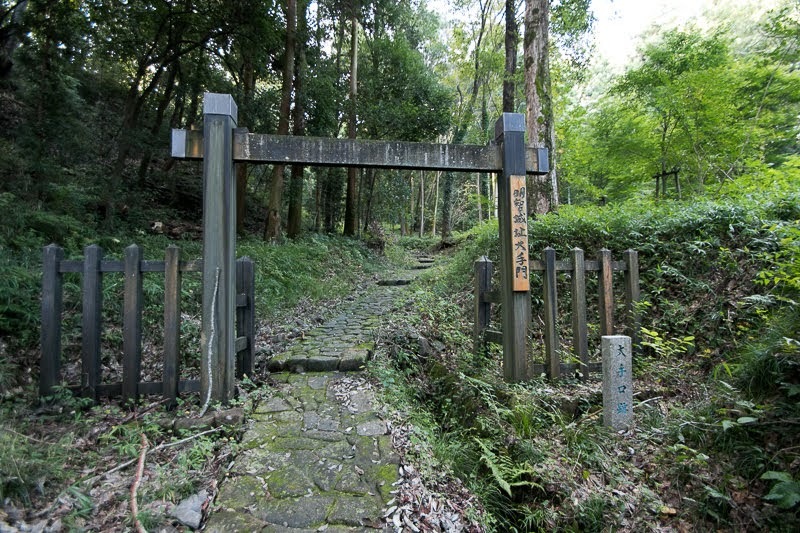 As a reward Yoritoo was appointed as the governor of Mino province in 1339, and moved their main base from Toki providence to Gifu area. 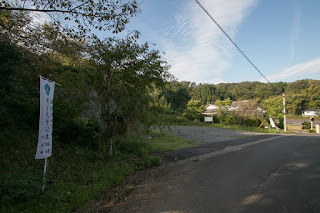 Following Toki clan, Akechi clan also moved from current Akechi town to Kani city, where was closer to Gifu area. 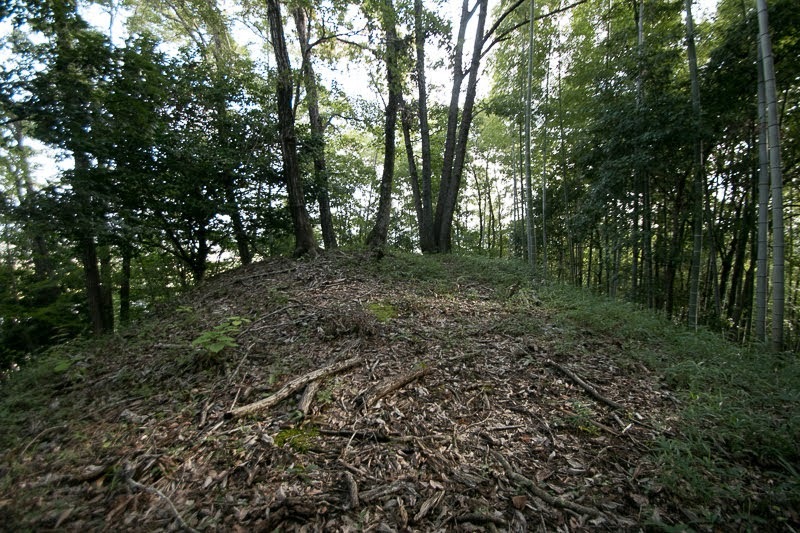 Akechi clan built Akechi Nagayama castle as their new main base. 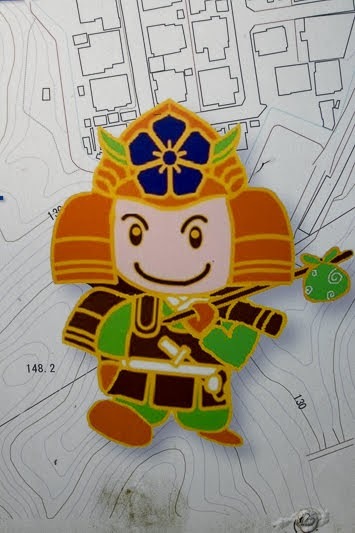 Yoritoo who intentionally ignored existing authority made violence to ex-Emperor and was executed in 1342, but Toki clan was approved to continue. 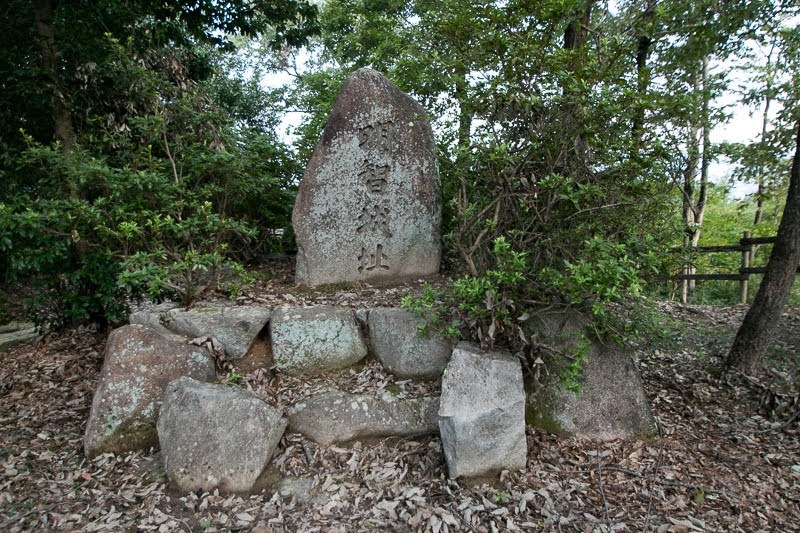 Toki clan once achieved the governor of Owari province (western half of Aichi prefecture) and Ise province (Mie prefecture), but later being feared its power by Shogunate thus subjugated. Toki clan significantly lost its power but still remained as the governor of Mino province. 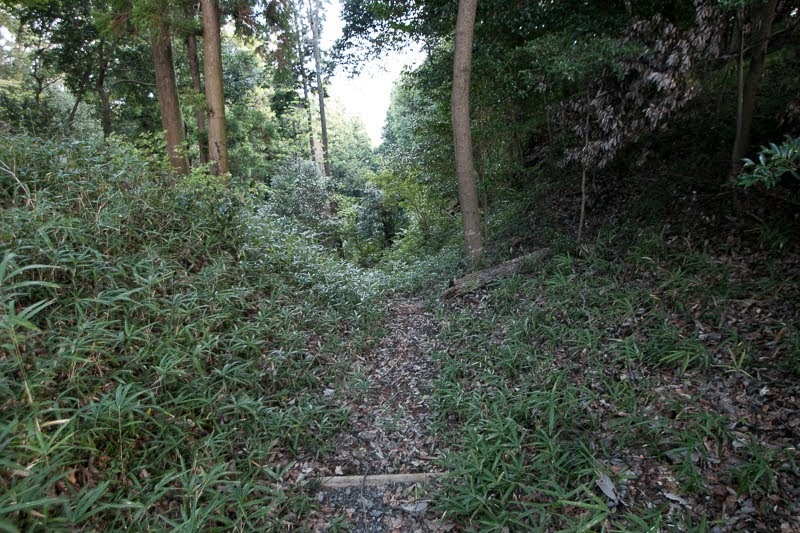 However, in the latter half of 15th century, Saito clan which was deputy governor under Toki clan gradually grew their power and surpassed Toki clan. 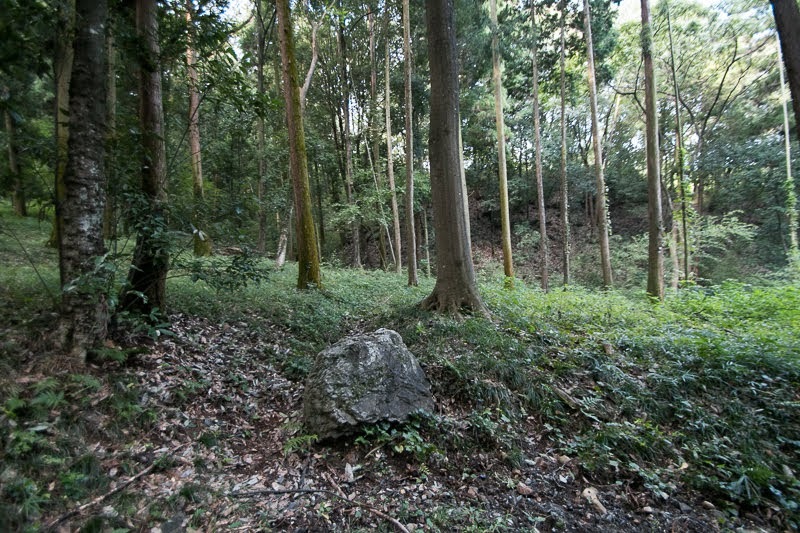 Especially Myochin Saito (1411-1480), the person of Saito clan, activated at the battle of Onin and captured the territory of other retainers then became a substantial governor of the province. 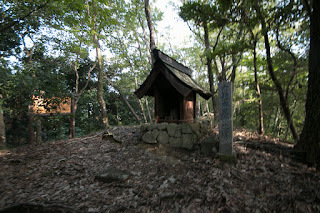 In the beginning of 16th century, Toki clan lost its power and fall into nominal governor of the province. 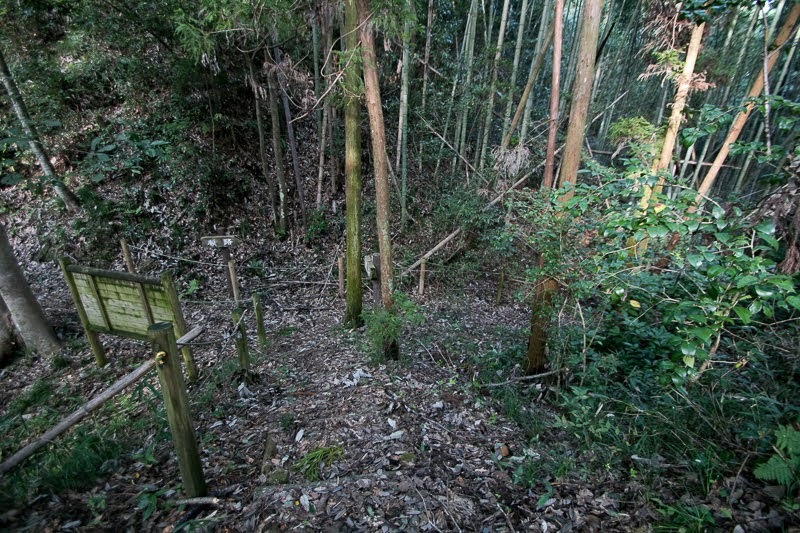 Person of Toki clan internally conflicted being supported by surrounding warlord such as Oda clan of Owari province or Asakura clan of Echizen province (Fukui prefecture), and Saito clan also fell into internal conflicts after the death of Myochin. 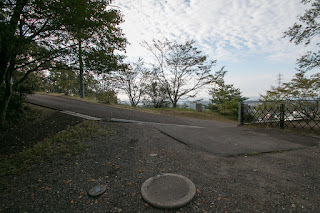 Utilizing this situation, Dosan Saito (1494-1556) whose father was originally a merchant of Kyoto city but came to Mino province and became a retainer of Saito clan, seized the authority of Saito clan and next aimed the governor of Mino province. 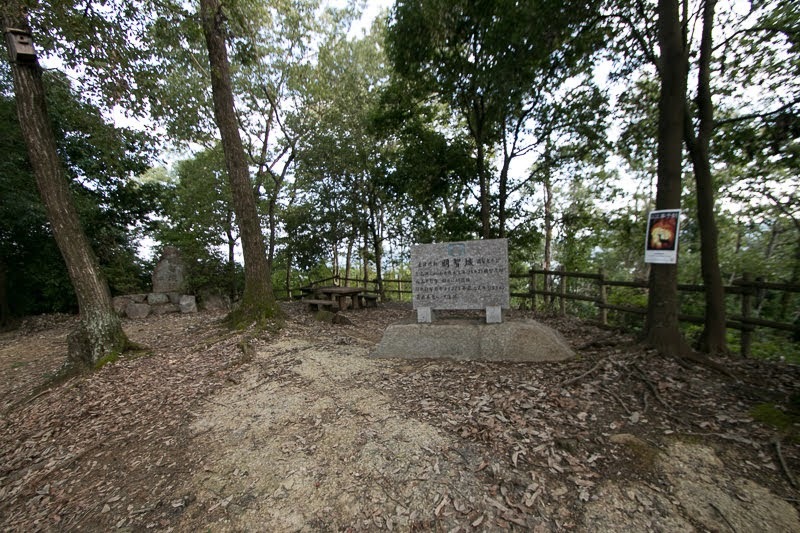 Yoriaki Toki (1502-1582), the last leader of Toki clan, tried to resist this being supported by Nobuhide Oda (1511-1552), the father of Nobunaga Oda (1534-1582), but was expelled thus Dosan became the governor of Mino province. 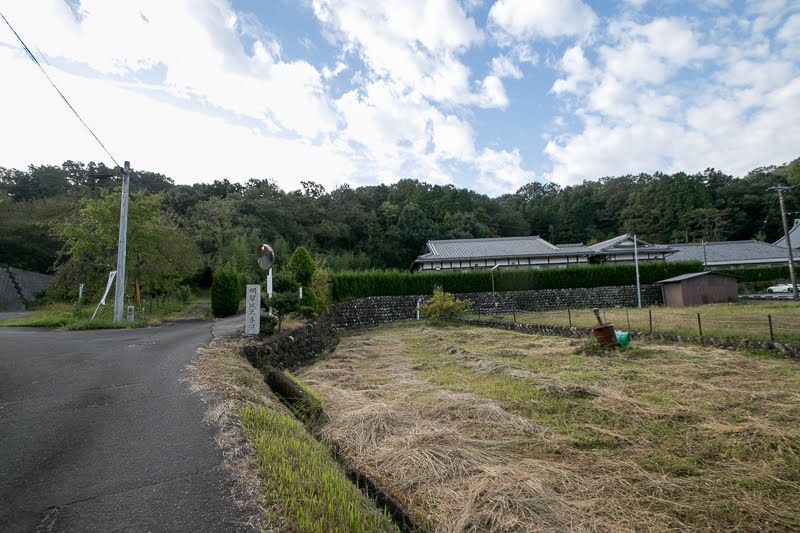 During Muromachi era, Akechi clan was a retainer of Toki clan but also directly served to Muromachi Shogunate then achieved knowledge of politics and administration from Shogunate and central nobles. 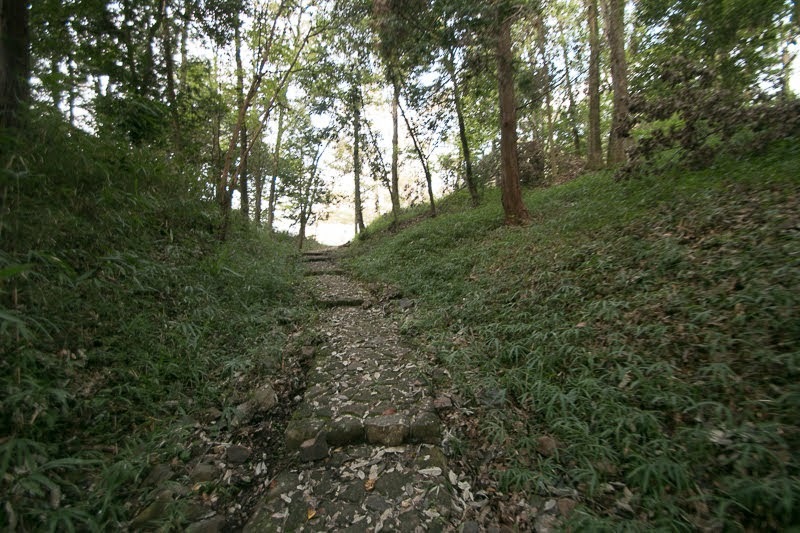 At the rise of Dosan Saito, Akechi clan approached to Dosan from early period and let their daughter marry with Dosan, thus Akechi clan became an important retainer of Dosan at middle part of province. 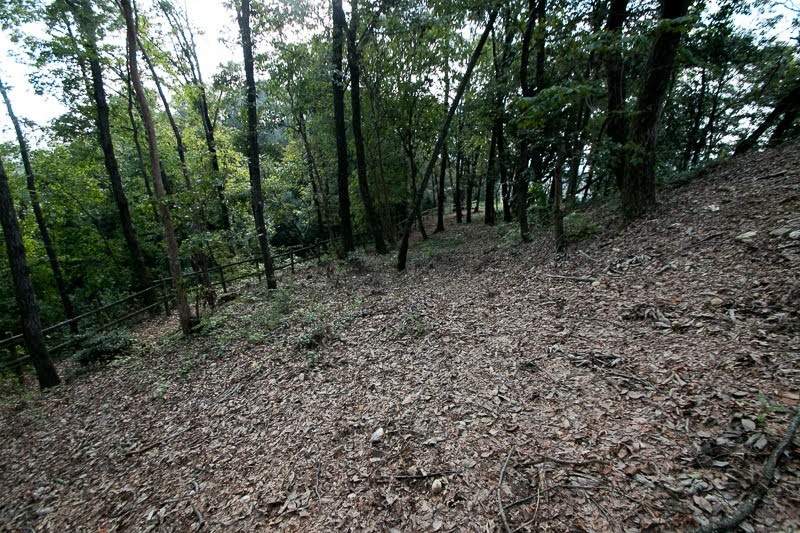 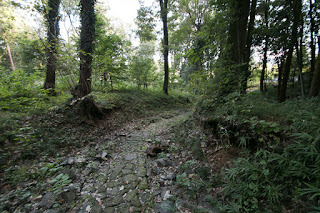 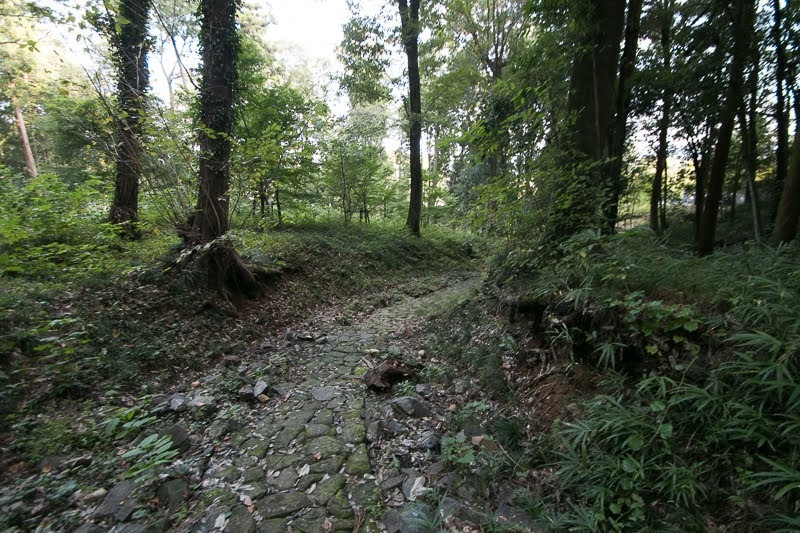 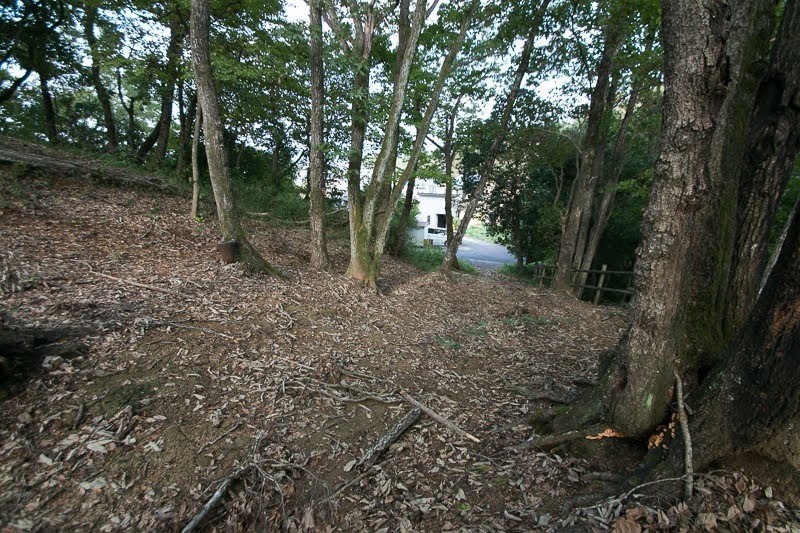 Akechi Nagayama castle might be expanded along with the rise of their position. 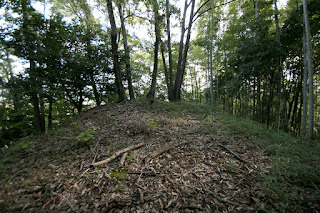 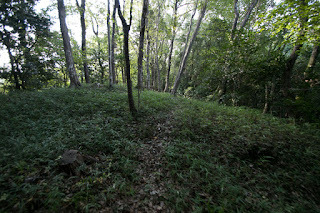 Akechi Nagayama castle is built over the main ridge of the hill spreads east and westward, and sub ridges prolongs northward. 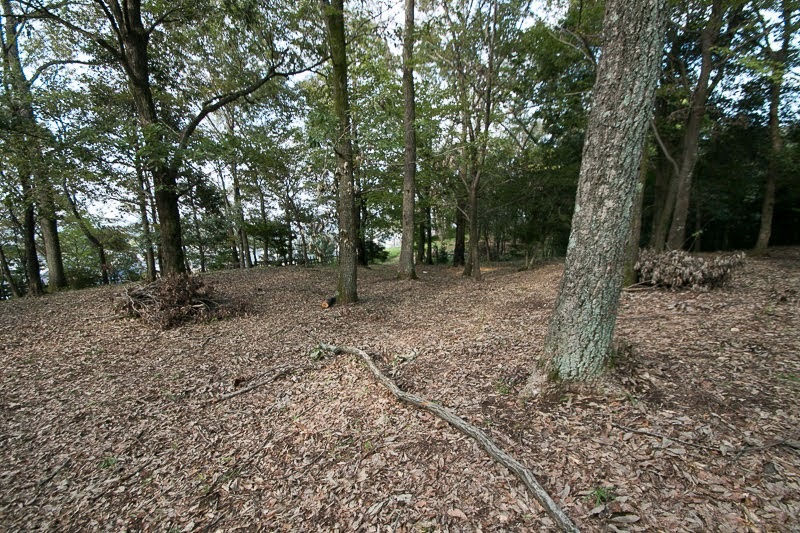 Central area of the castle is a triangle area of 50 meter long at the highest point of the hill, now becomes the ground of water tank. 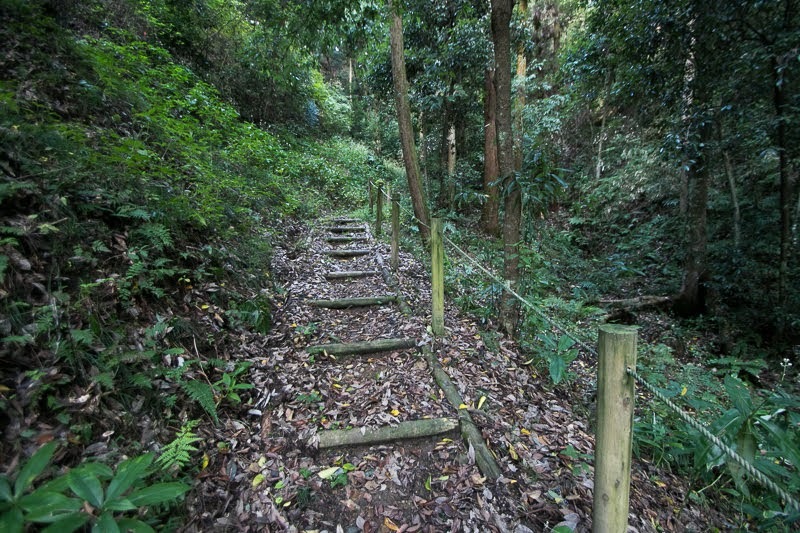 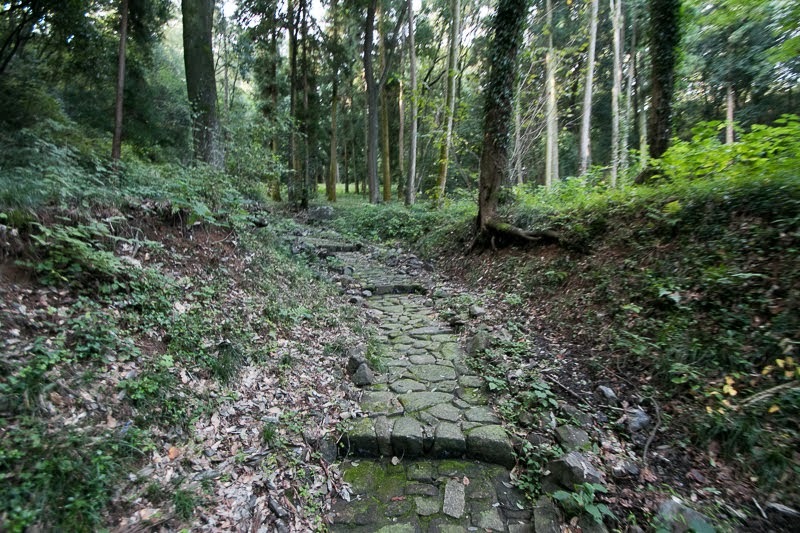 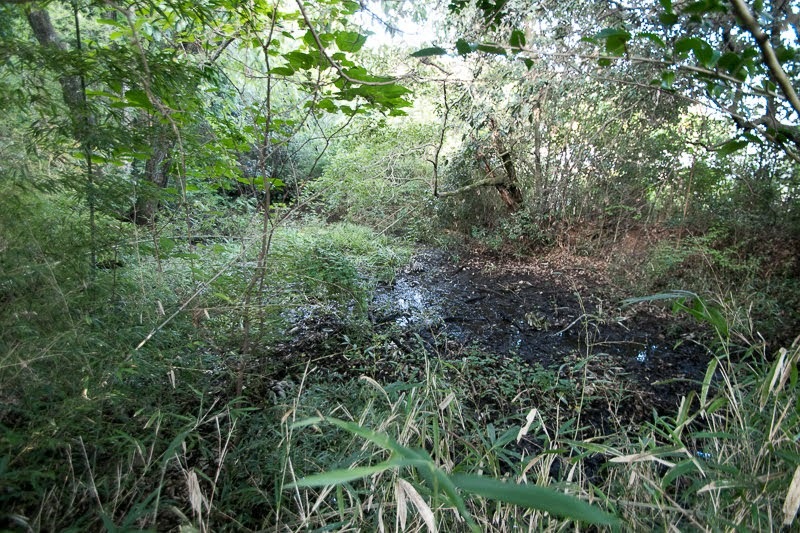 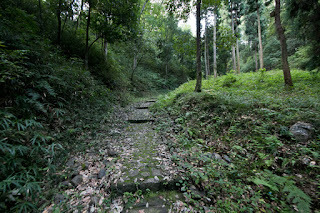 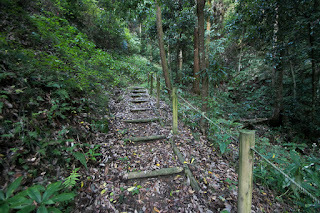 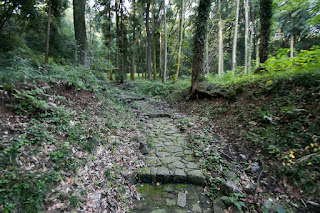 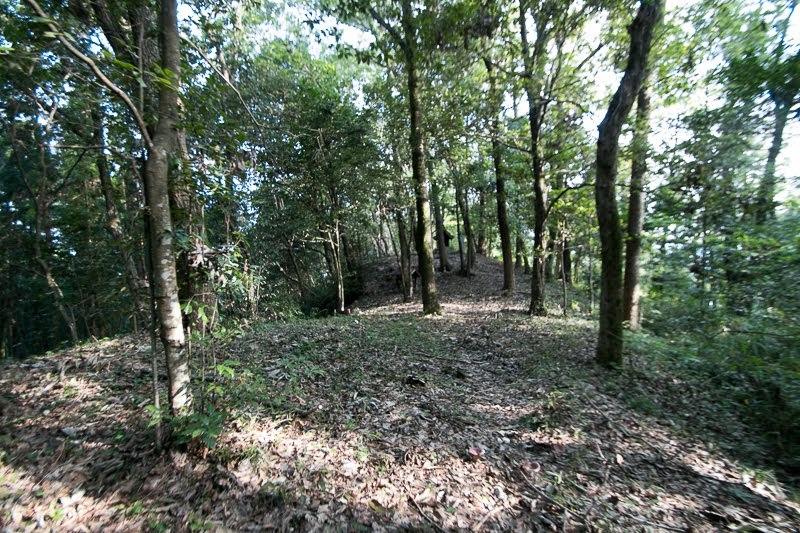 At the north of central area there are several terraces but it is difficult to approach. 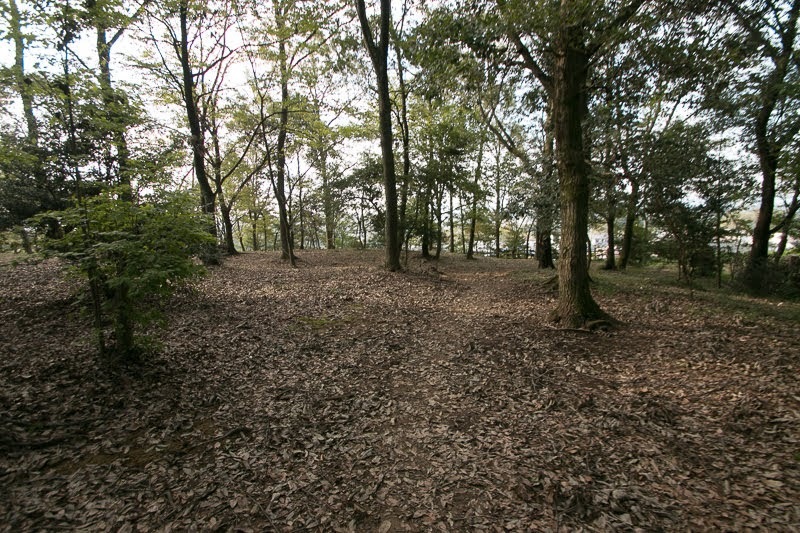 At the west of central area, there are large flat terrace of 50 meter long, which might be used as a ground of the residence of the lord. 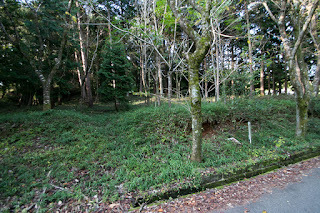 Just below this secondary area there is a long and narrow area of over 100 meter long which might be the running space of military horses. 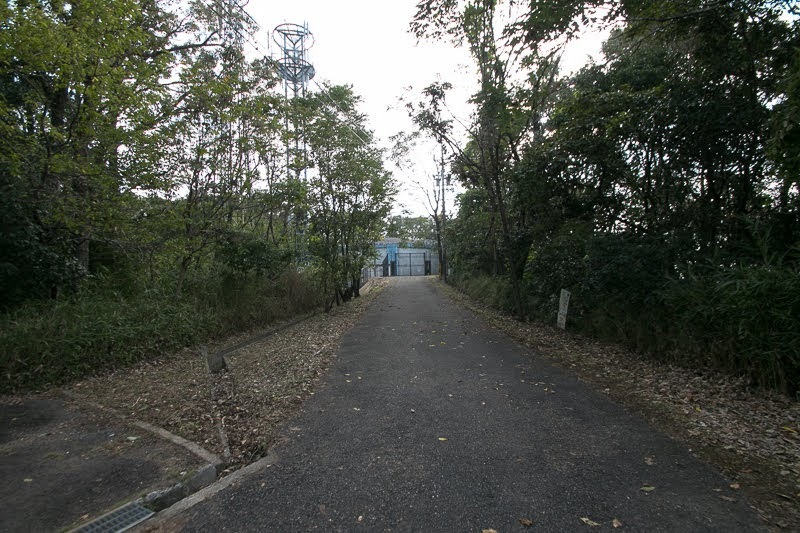 At the west of secondary area, there is an outer area that have watchtower. 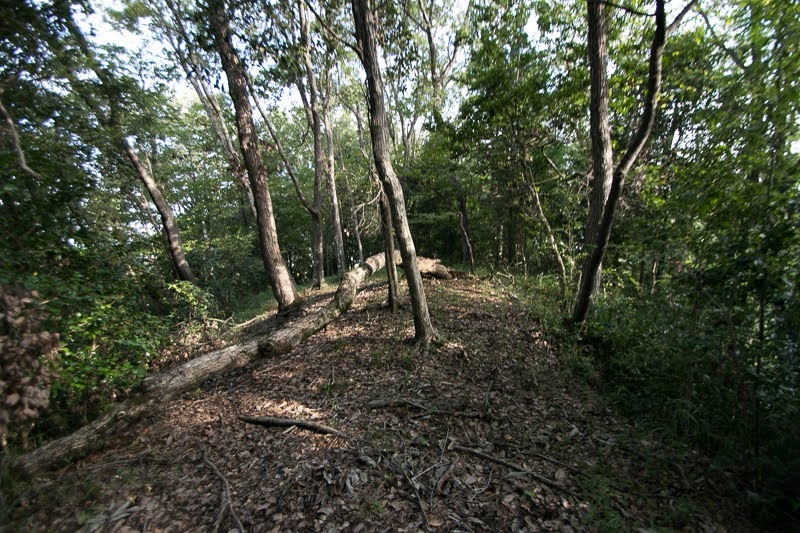 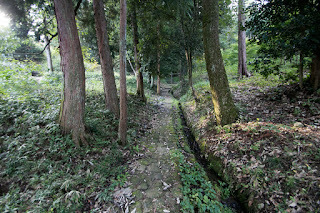 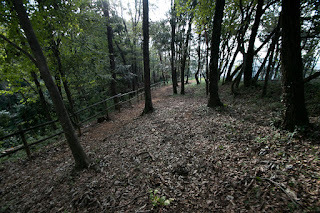 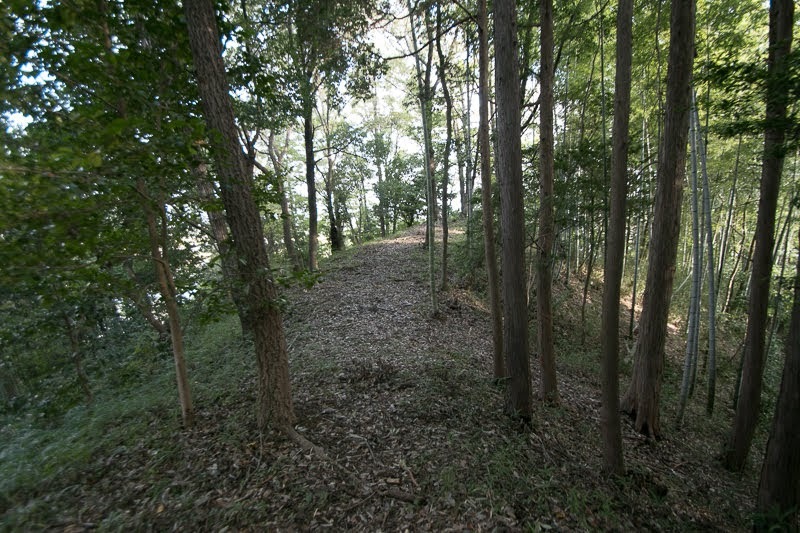 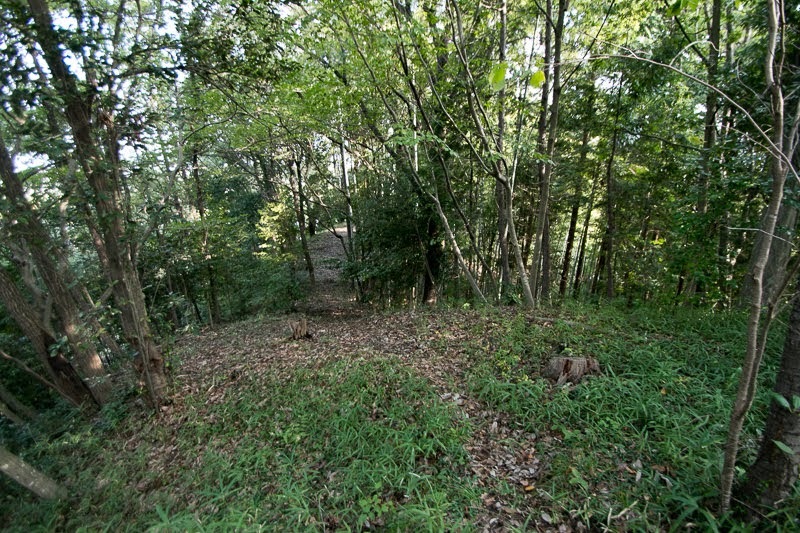 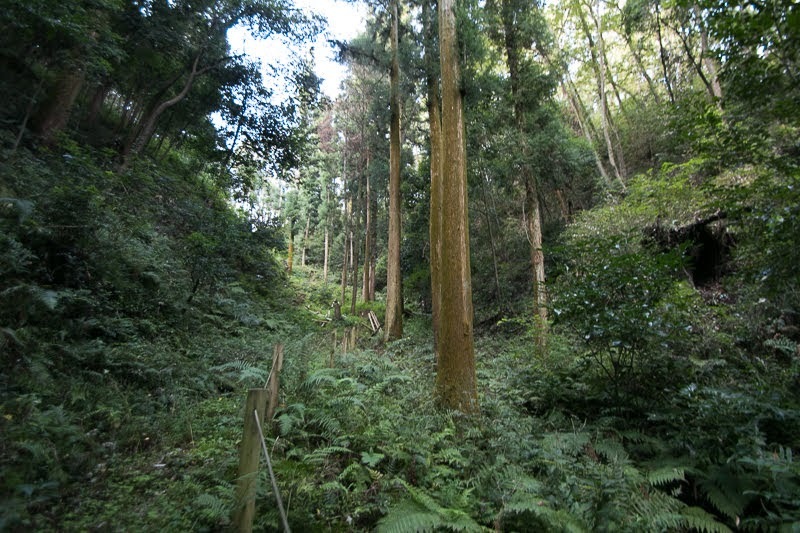 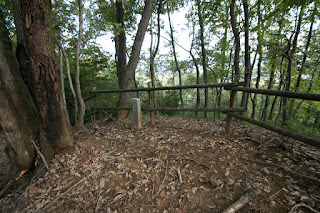 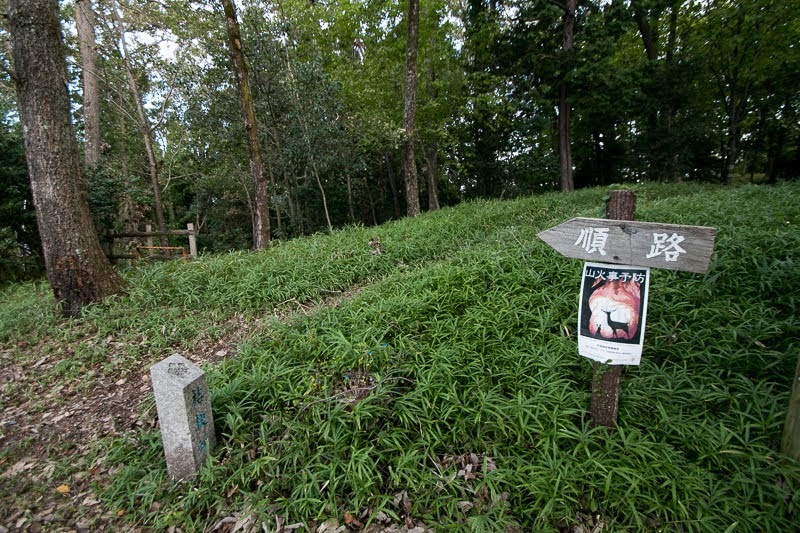 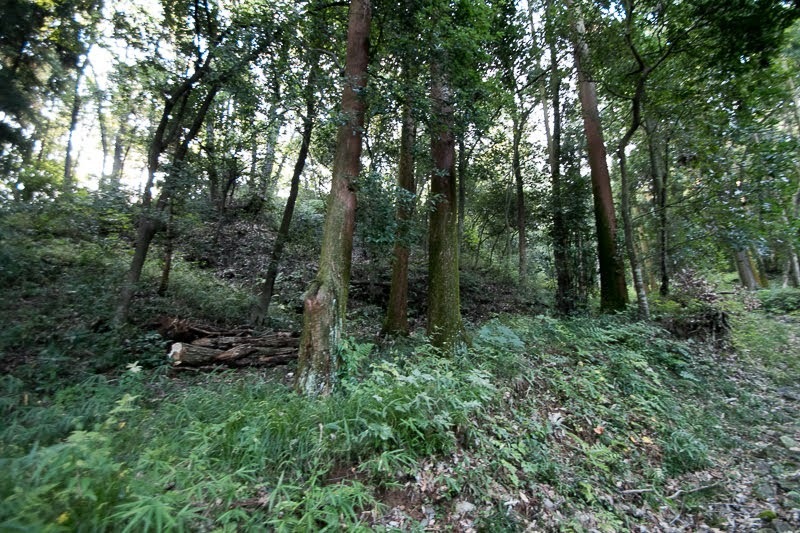 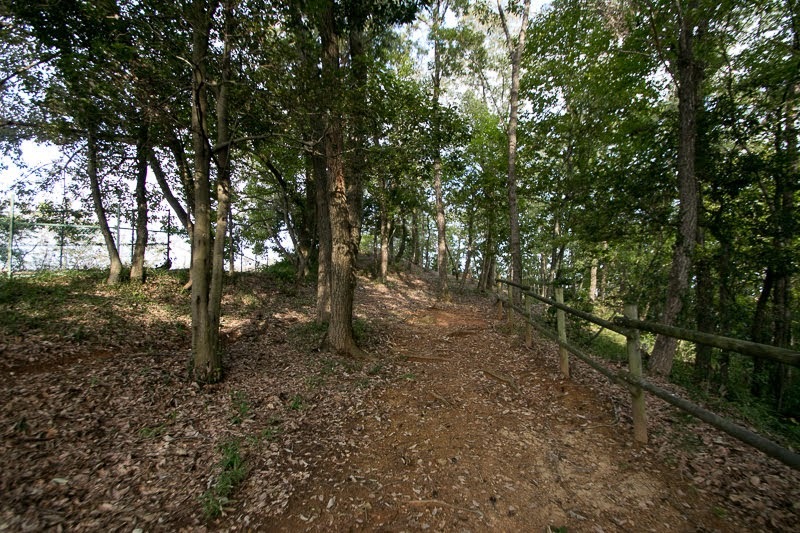 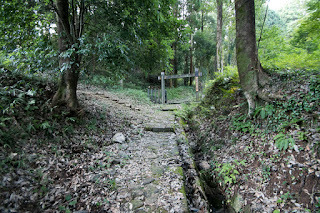 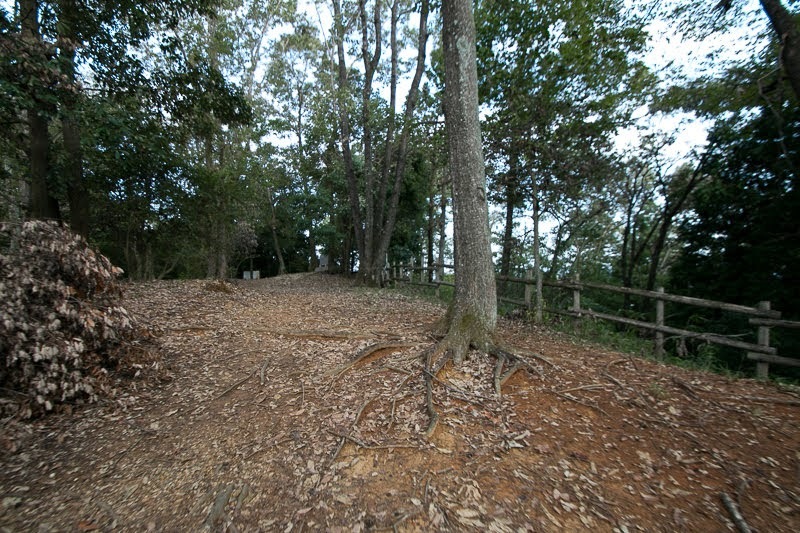 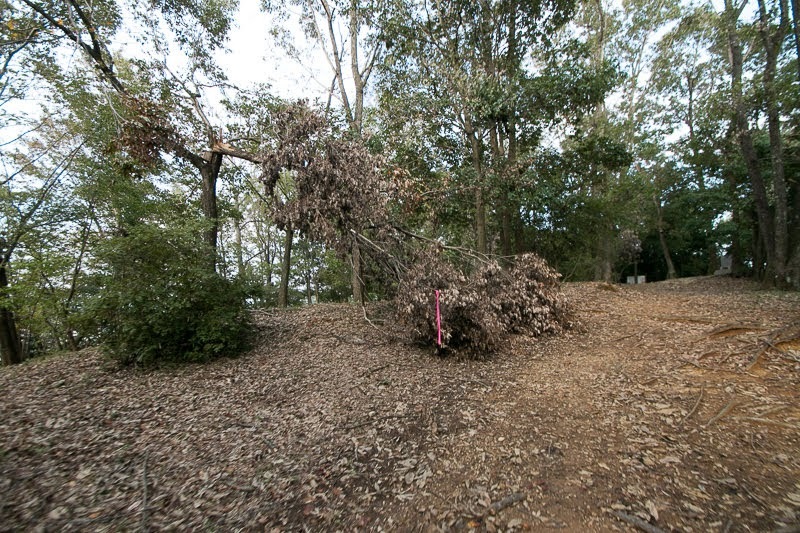 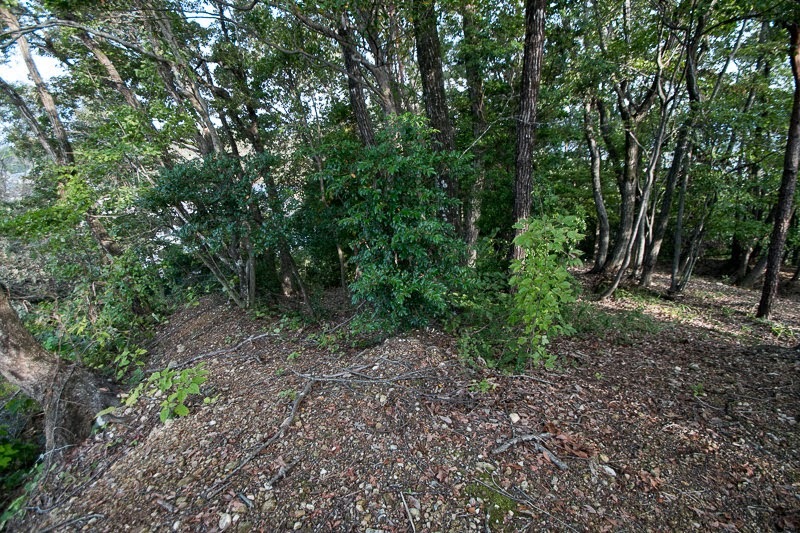 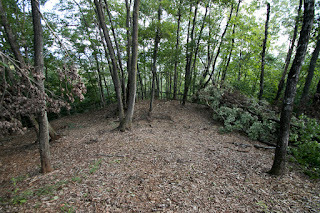 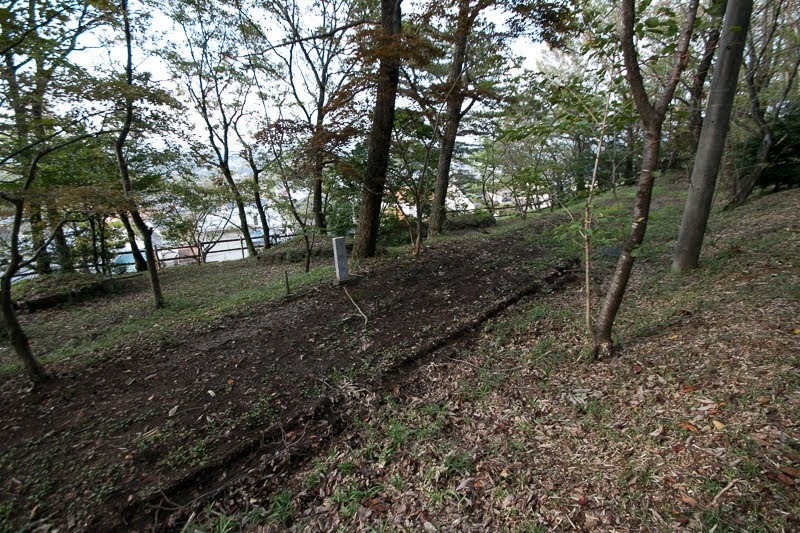 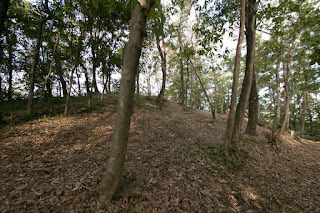 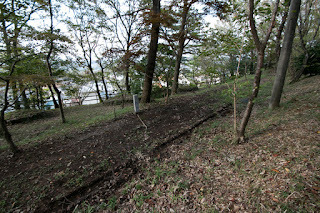 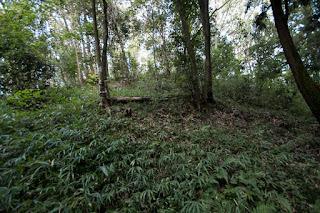 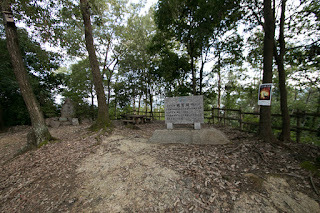 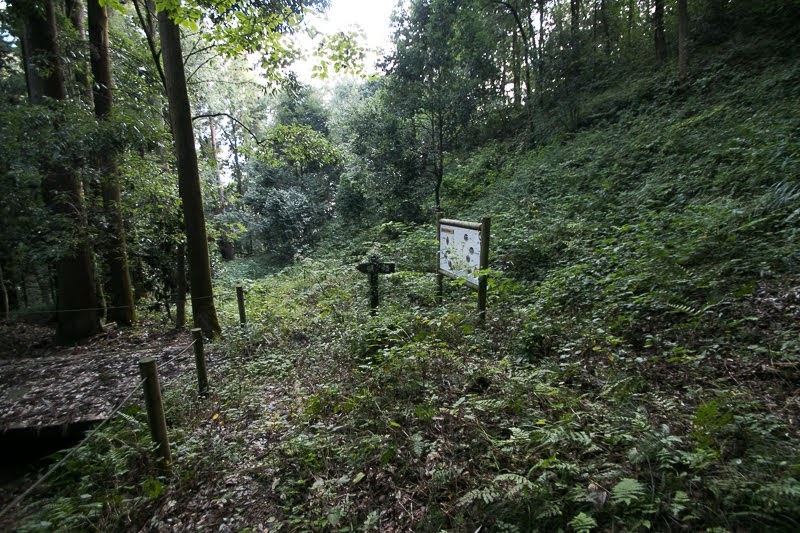 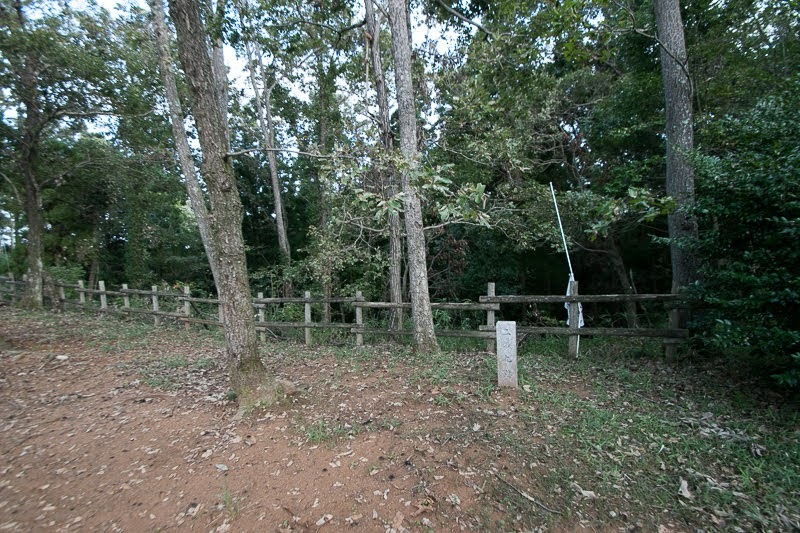 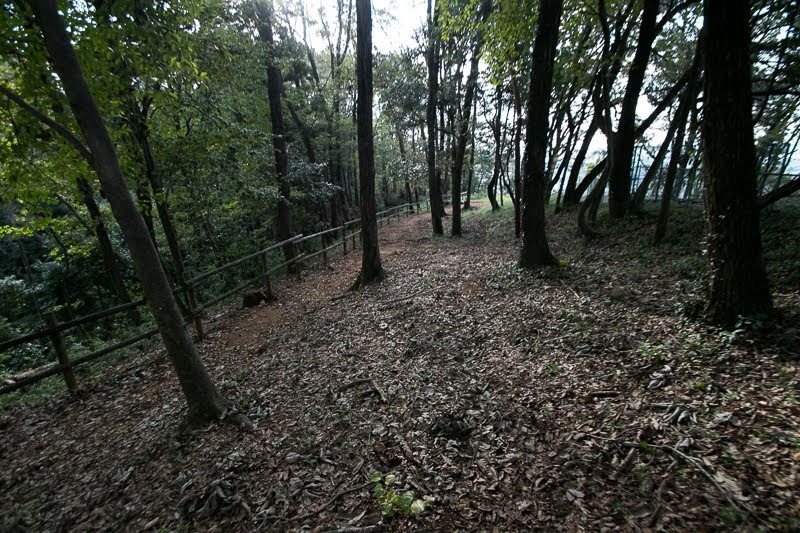 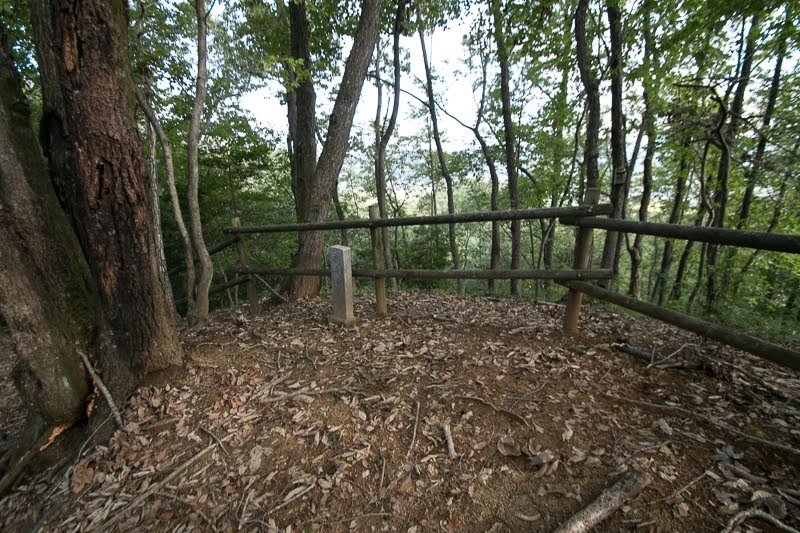 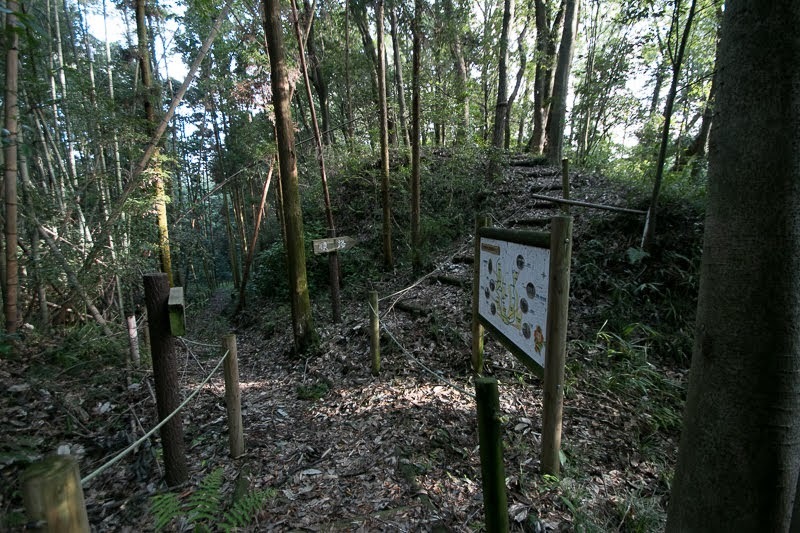 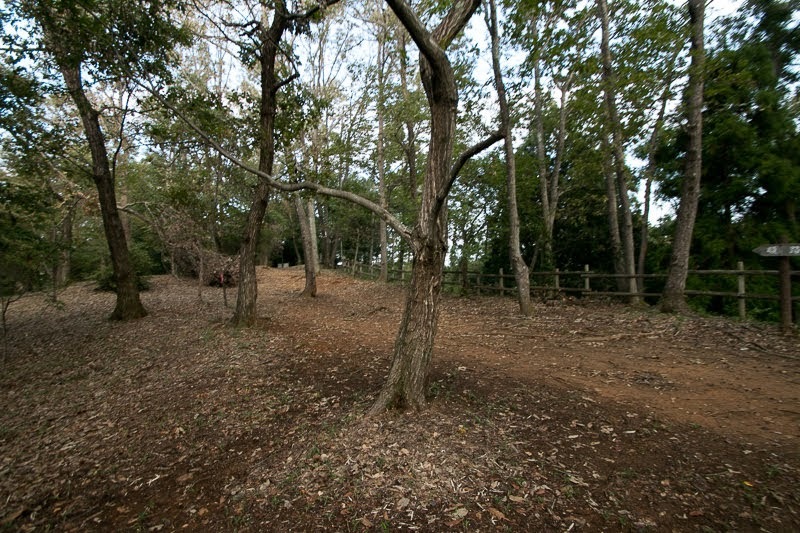 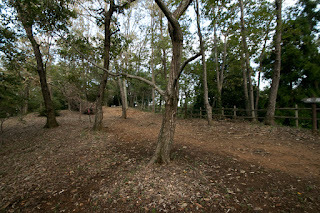 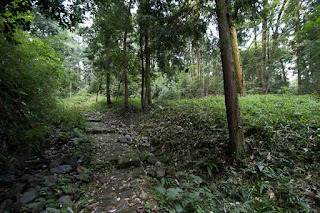 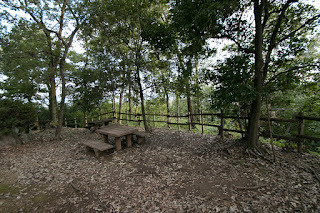 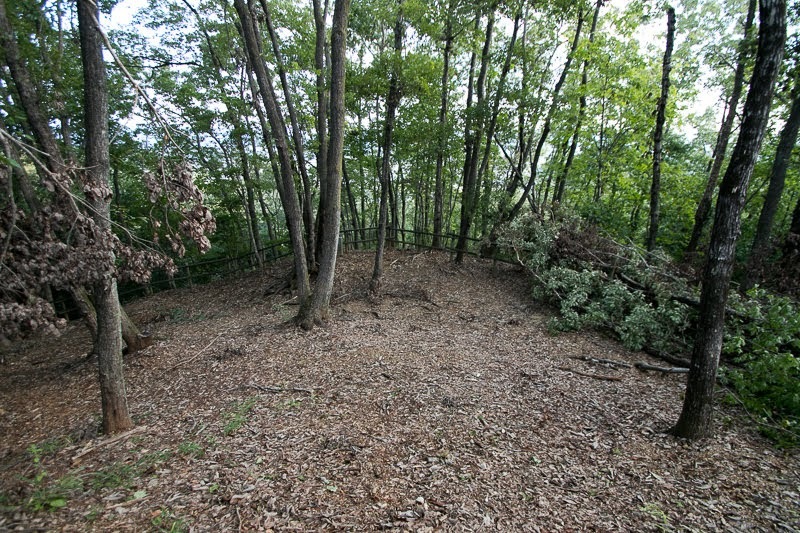 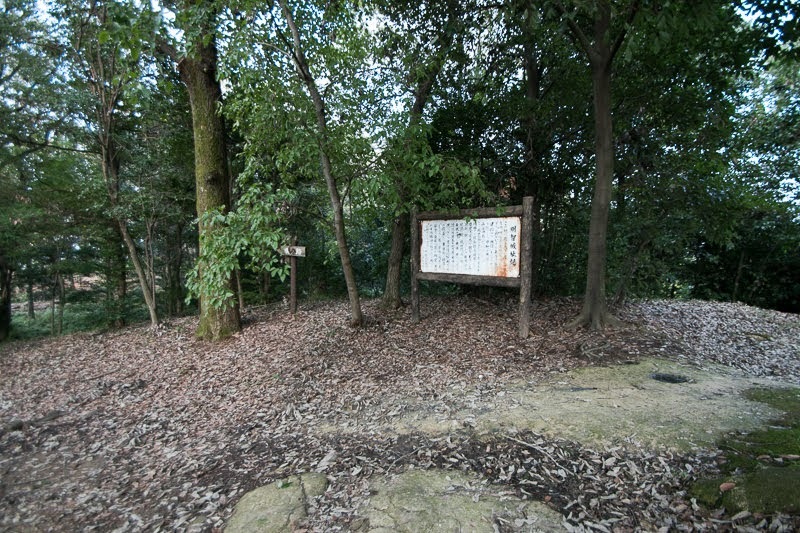 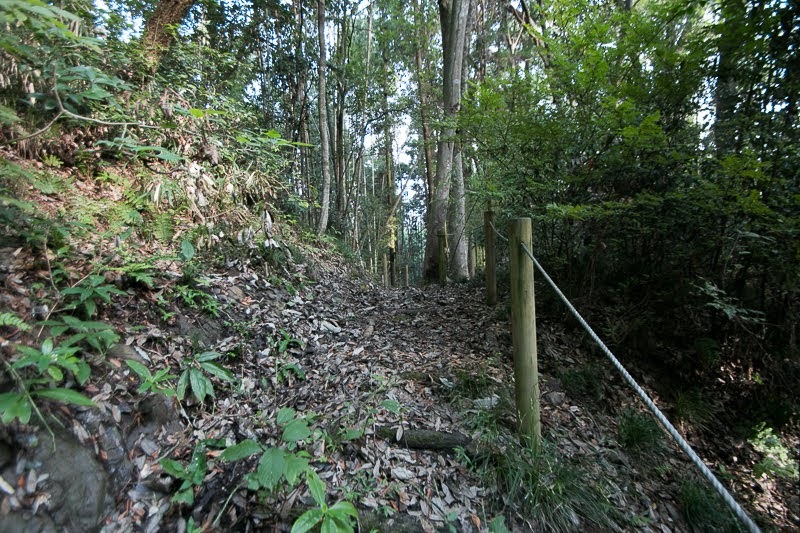 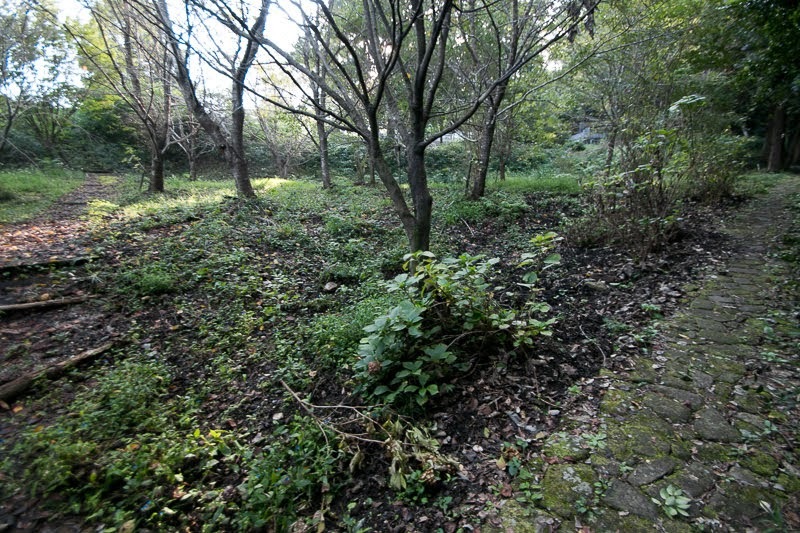 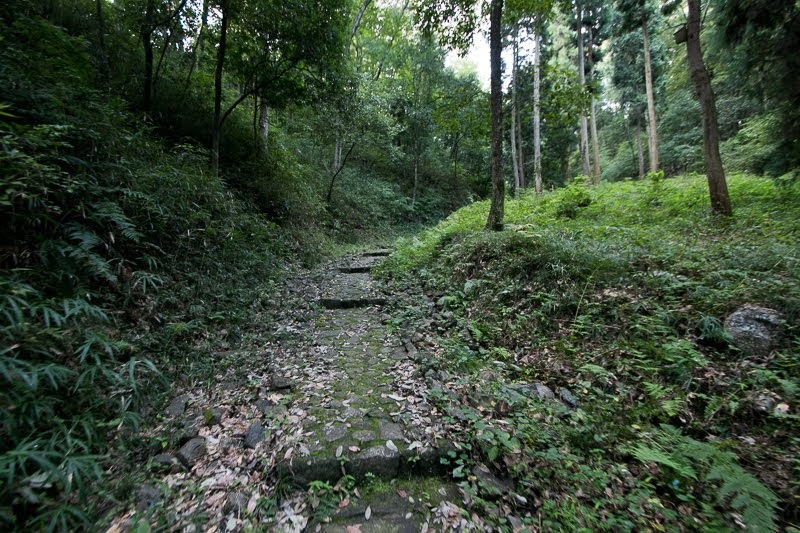 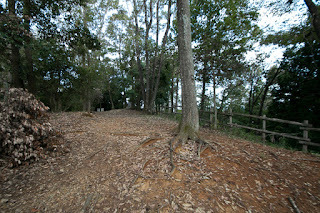 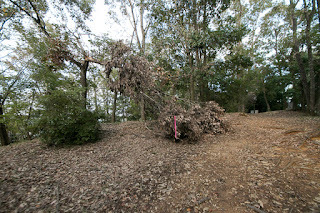 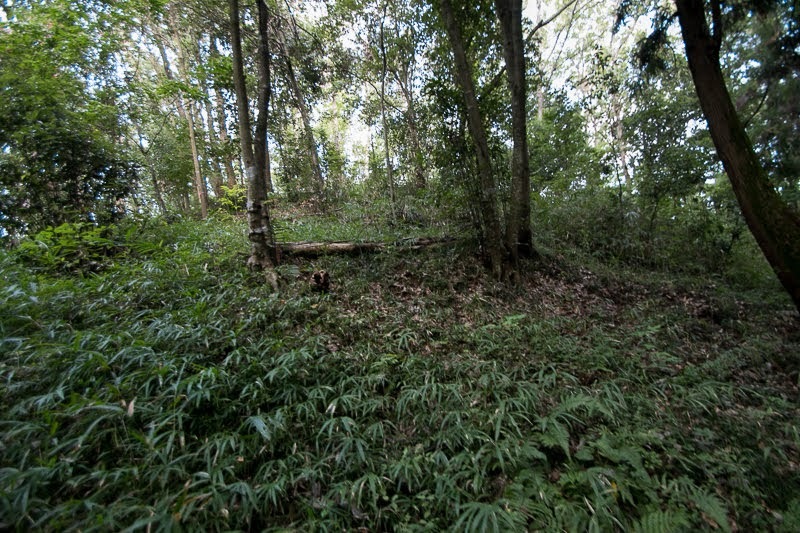 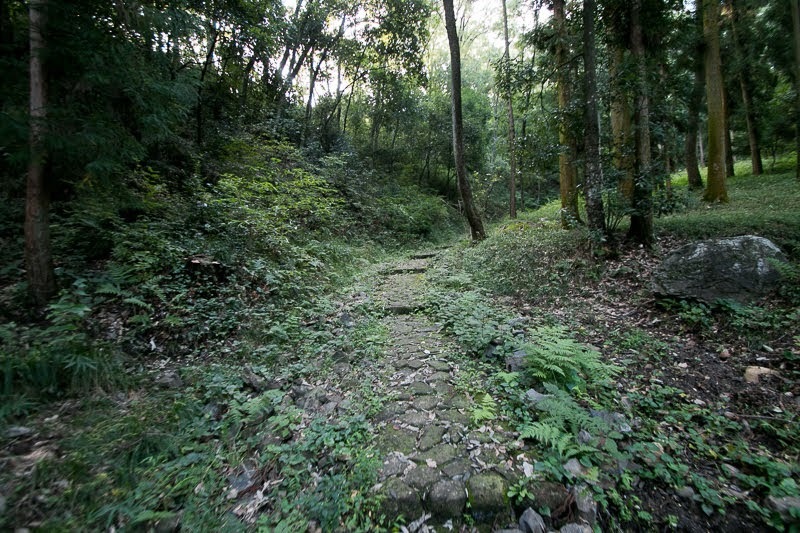 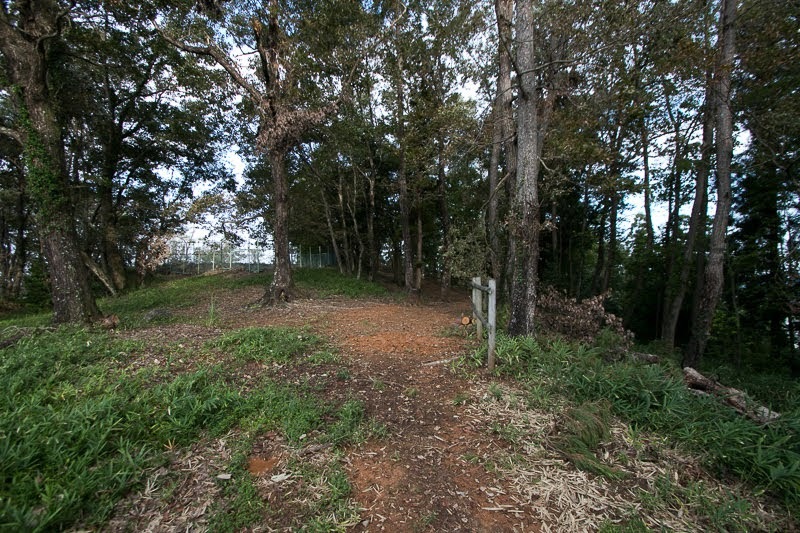 At the north of secondary area, several terraces such as cooking space, water supply space and gate area is built on the slope of the ridge. Main entrance is built at the entrance of valley between central area and secondary area, and backside gate existed at the below of west edge of secondary area. 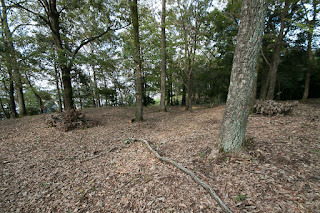 Total size of the castle is about 400 meter long and 300 meter wide, and relatively large castle of the area. 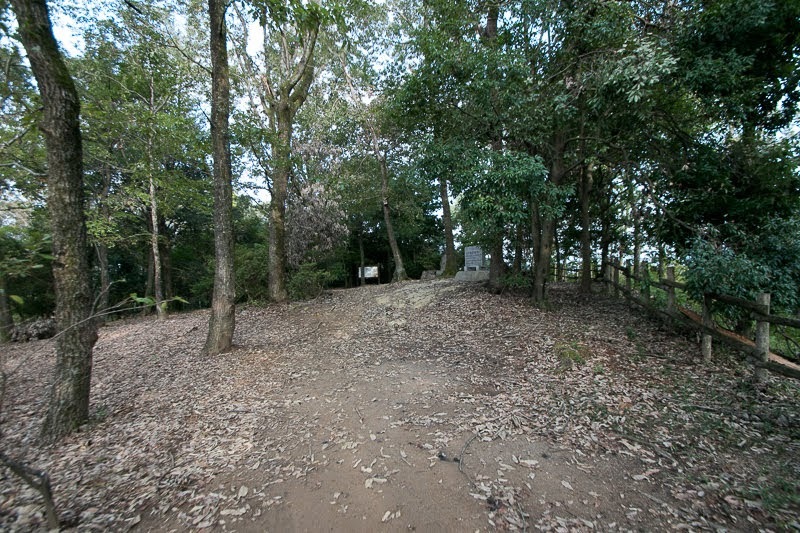 In 1554, Dosan was revolted by his eldest son Yoshitatsu Saito (1527-1561) for the succession, and Yoshitatsu who was supported by large size retainers who dissatisfied the reign of Dosan broke Dosan at the battle of Nagaragawa and killed him. 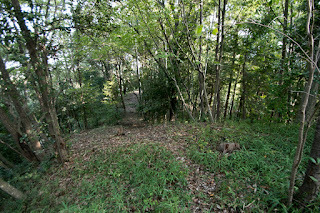 Next Yoshitatsu assaulted Akechi Nagayama castle, and Mitsuyasu Akechi (1500-1556) who temporally succeeded Akechi clan resisted it along with surrounding lord but finally shared his fate with the castle. 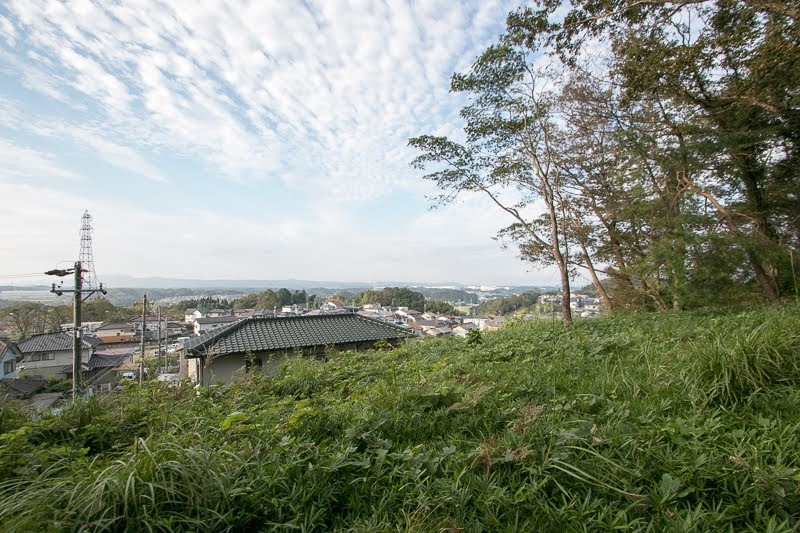 Akechi clan once ruined, but Mitsuhide Akechi who might be the young leader of the clan escaped from burning castle with his retainer Hidemitsu Akechi (1536?-1582). 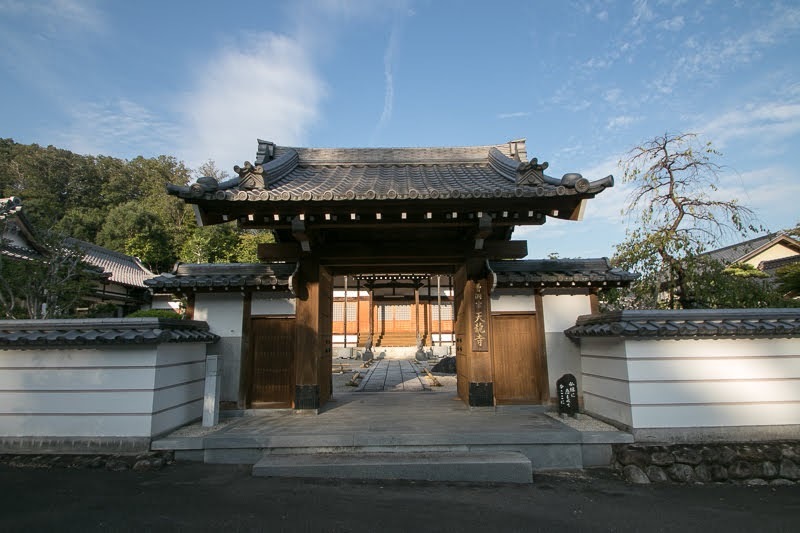 Detail is unknown but it is said that Mitsuhide used his knowledge on administration or culture and origin as direct retainer of Muromachi Shogunate, and once became a retainer of Asakura clan which became a strong warlord of Echizen province. 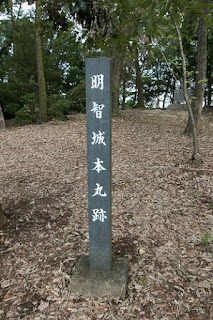 Yoshiaki exiled to Asakura clan along with his important retainer Fujitaka Hosokawa (1534-1610), thus Mitsuhide became acknowledge with Yoshiaki and Fujitaka at this time. Yoshiaki and Fujitaka asked Yoshikage Asakura (1533-1573), the leader of Asakura clan, to raise army and subjugate Miyoshi clan then place Yoshiaki as next Shogun. But Asakura clan faced Ikko-Ikki army could not move at this time. 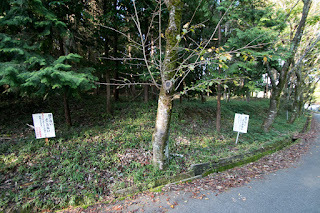 Yoshiaki and Fujitaka gave up Asakura clan and seek next supporter. Just at this time Nobunaga Oda broke Tatsuoki Saito (1548-1573), the son of Yoshitatsu, then fell their main base Inabayama castle (later Gifu castle) and captured Mino province. 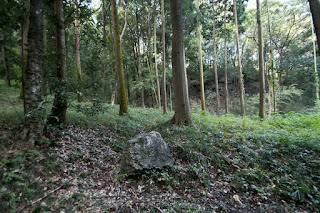 As Princess Kicho (?-? ), the formal wife of Nobunaga, was the daughter of Dosan and his wife from Akechi clan, Mitsuhide was picked as a messenger to Nobunaga from Yoshiaki utilizing this relationship. In 1568, Nobunaga who accepted the request from Yoshiaki marched toward Kyoto city with large army. 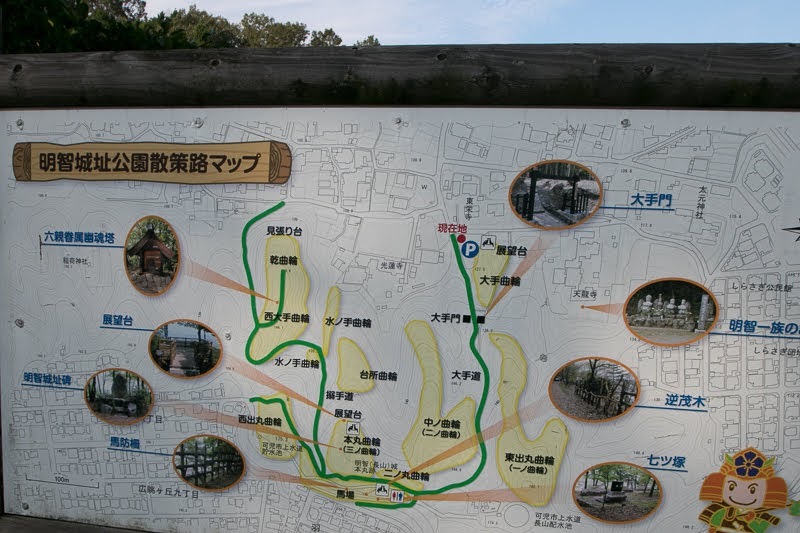 Nobunaga easily broke Rokkaku clan which was the warlord of Omi province (Shiga prefecture) at Kannonji castle and Miyoshi clan which seized Kyoto city, then entered Kyoto city. 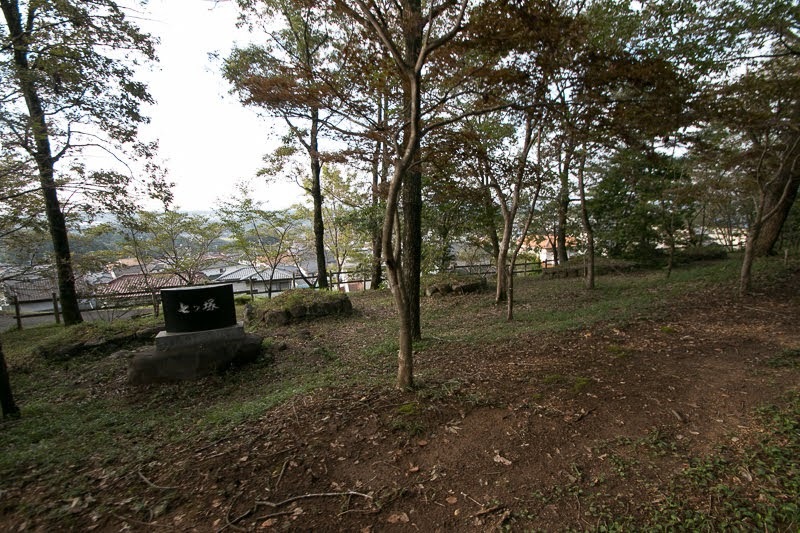 Nobunaga placed Yoshiaki at 15th Shogun of Muromachi Shogunate, and Mitsushide became the retainer of both of Yoshiaki and Nobunaga. 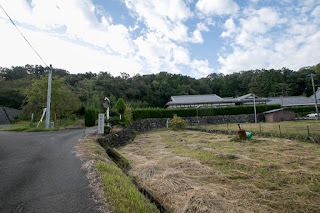 After over 10 years from fall of Akechi Nagayama castle, Mitsuhide could leave tough situation where his wife had to sell her beautiful hair to set up meeting to build connection with high class people, and start the restoration of Akechi clan. 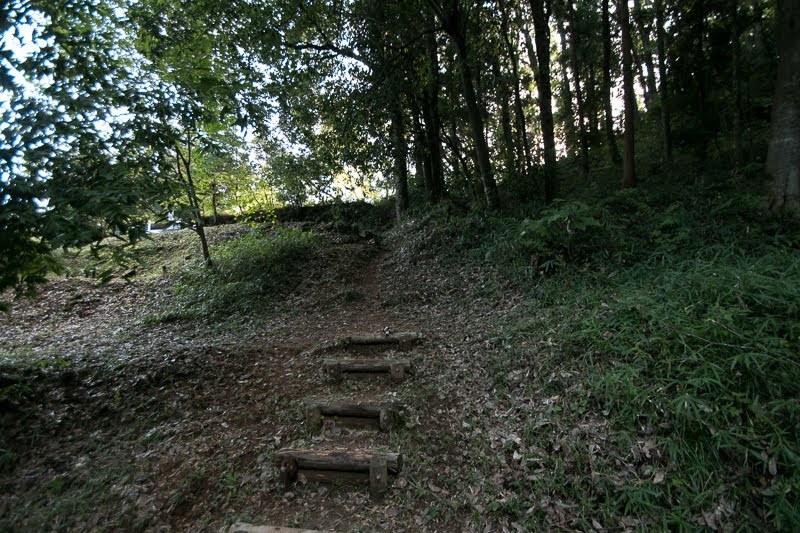 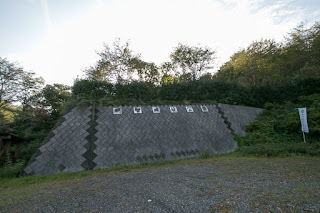 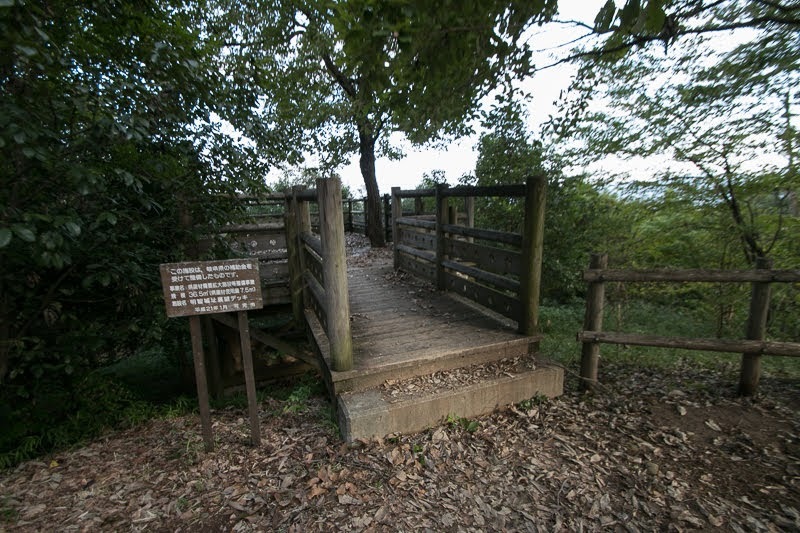 After the fall by Yoshitatsu Saito, Akechi Nagayama castle was abolished because of its limited security. 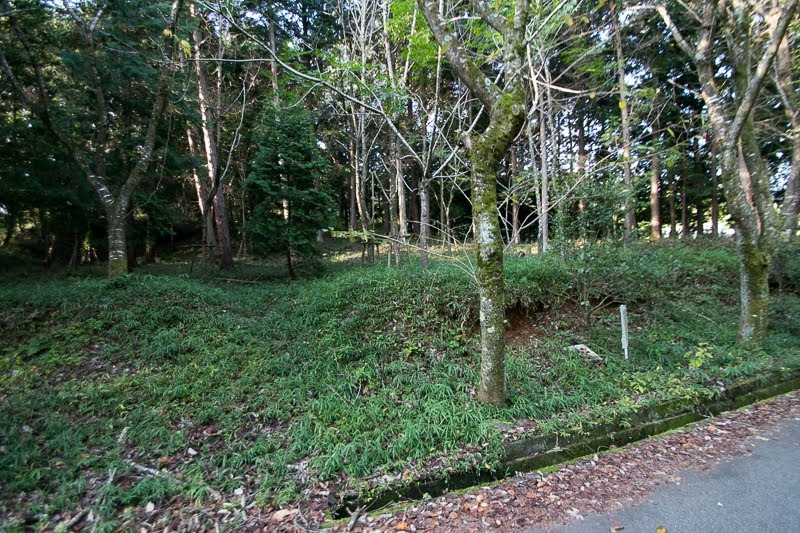 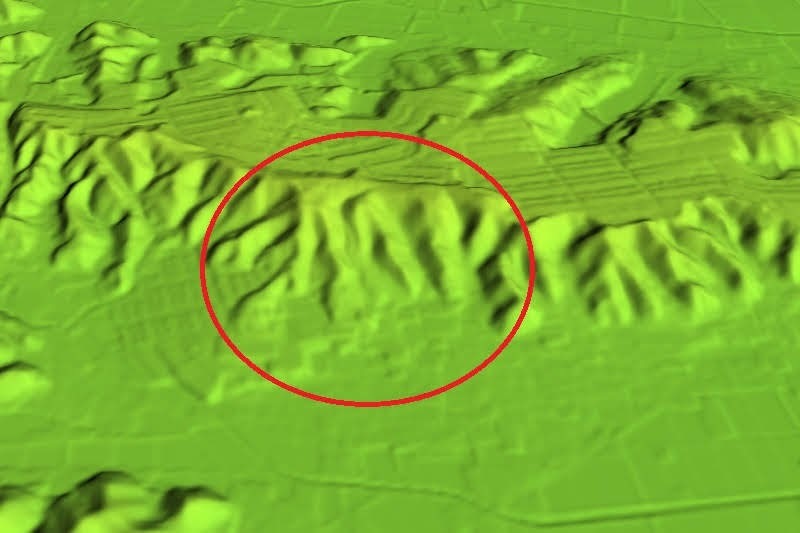 Now central area was destructed by building water tanks, but secondary area and other areas are roughly kept as flat terrace. Temples and shrines around the castle slightly show the existence of Akechi clan which was good at culture and administration later supported the promotion of Mitsuhide. 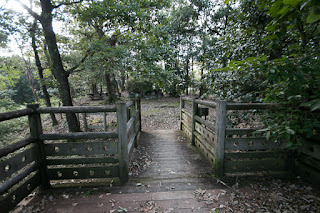 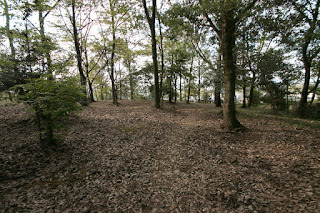 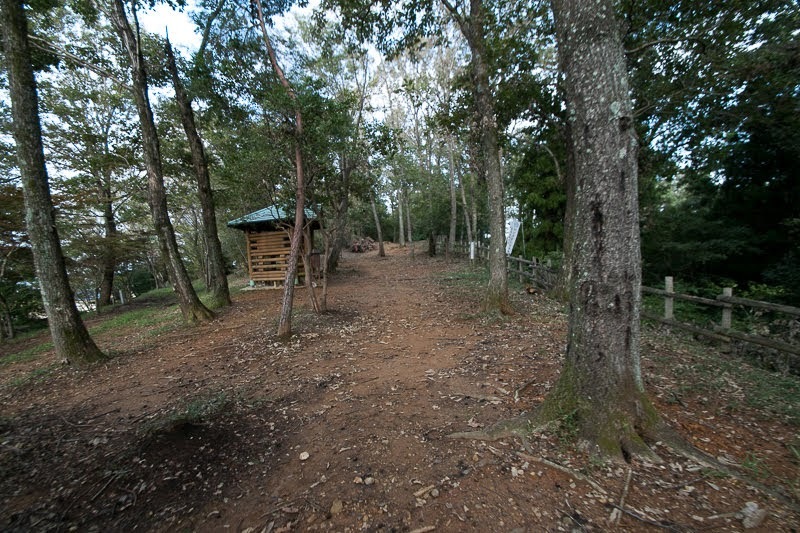 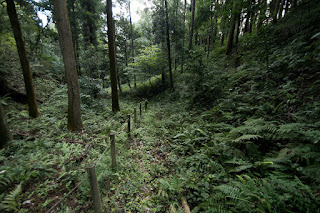 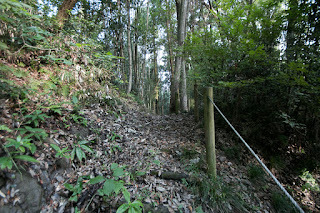 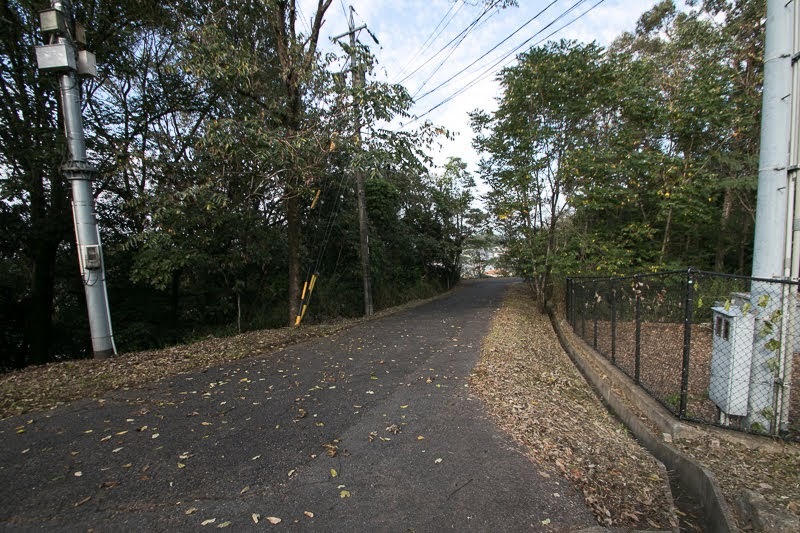 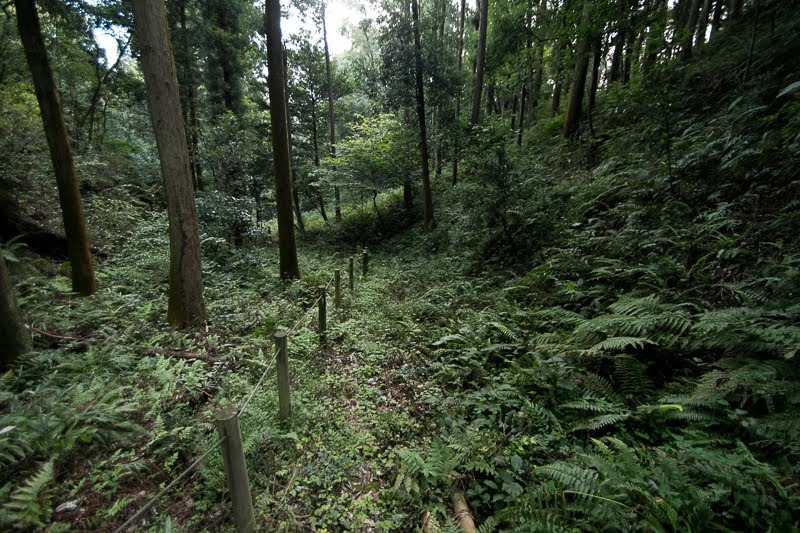 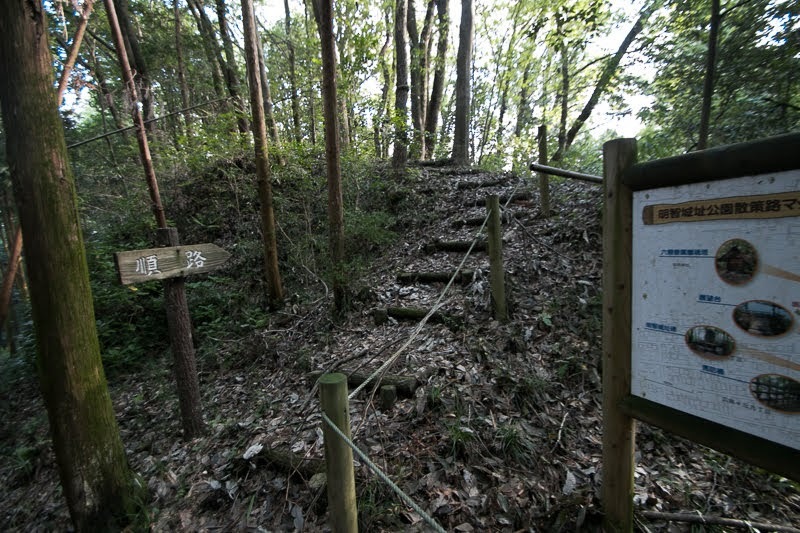 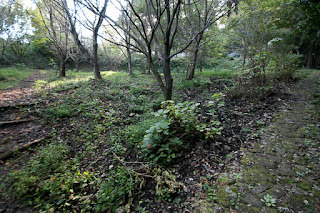 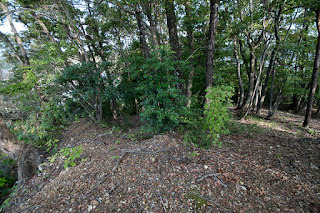 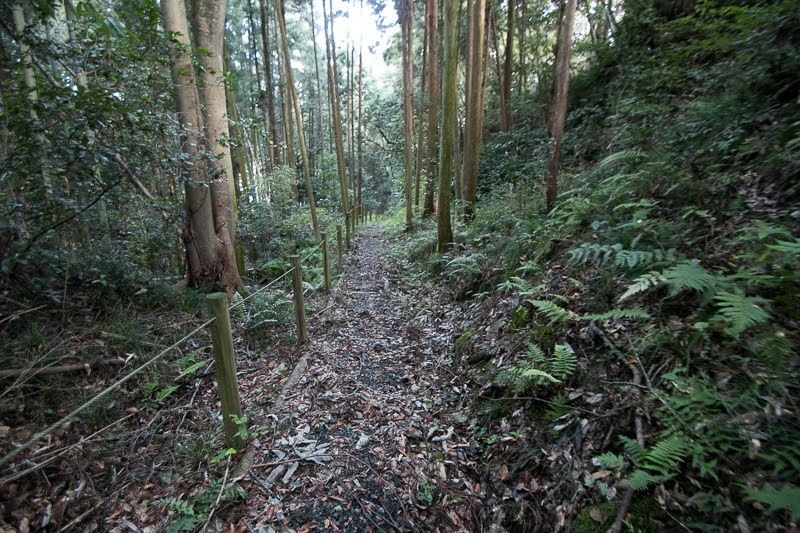 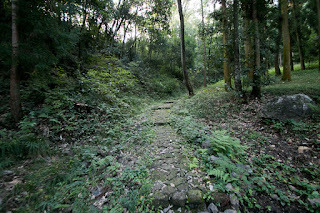 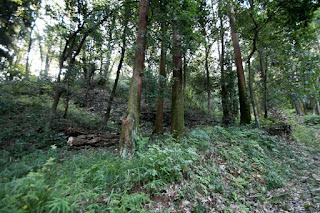 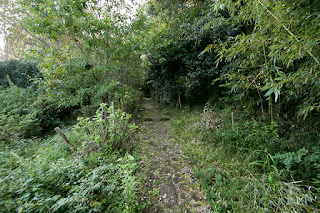 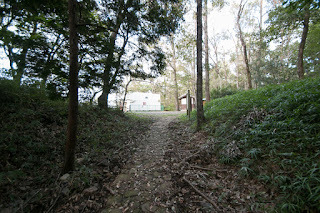 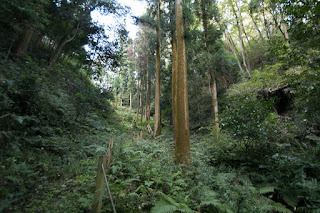 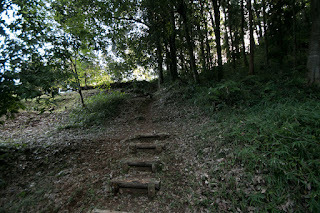 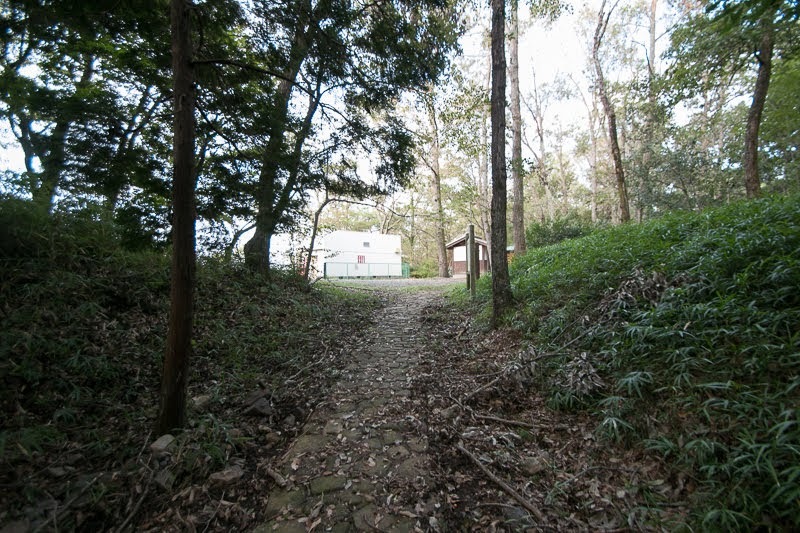 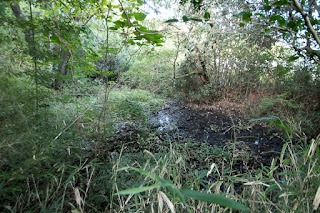 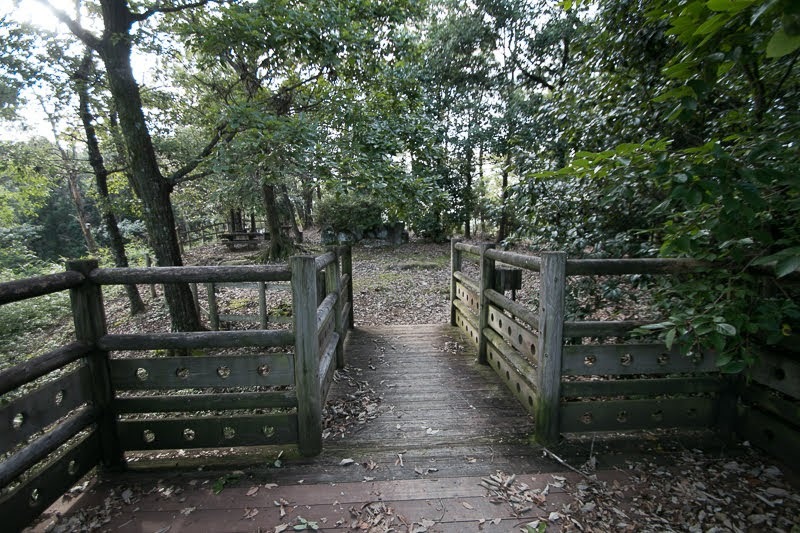 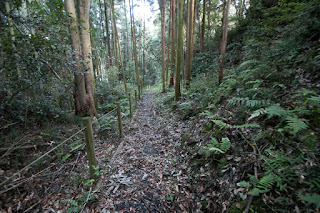 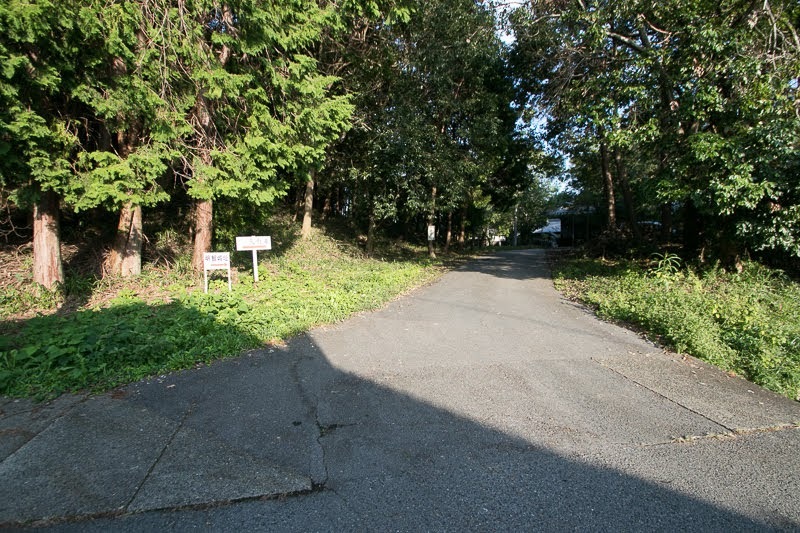 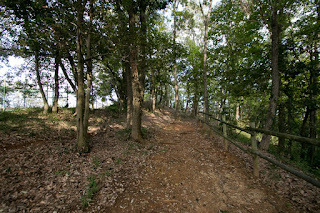 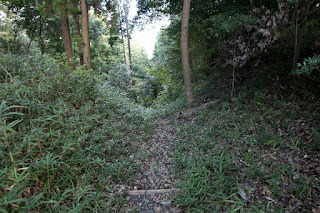 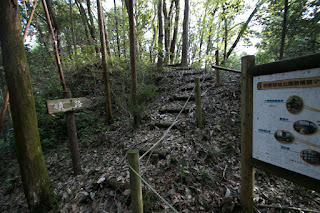 30 minutes walk from Meitetsu Hiromi-sen line Akechi station. 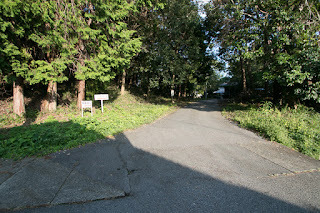 15 minutes drive from Tokai Kanjo Jidoshado Expressway Kani-Mitake interchange to hillside parking.